Toys R Us is in the process of closing, leaving many waxing nostalgic about childhood's spent at the beloved retailer. 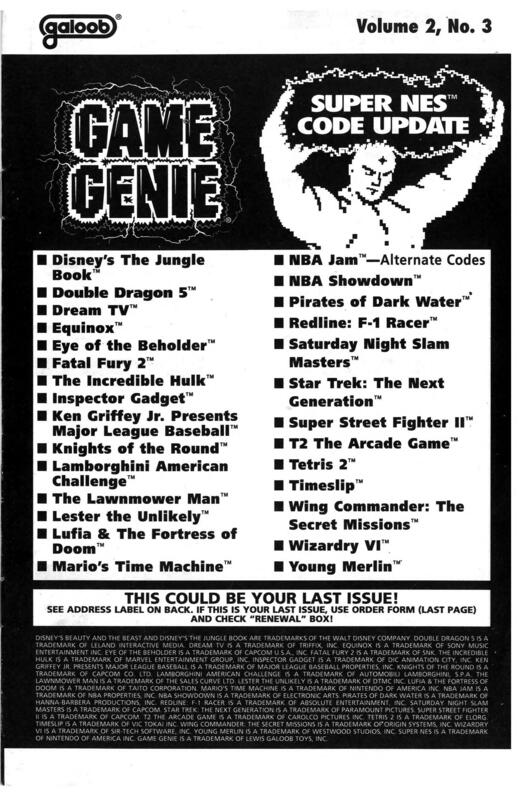 1990s console gamers may remember needing to make purchases using a special security system: instead of finding a game on the shelf, you would take a printed card from a display to a 'lockup' where the physical media was stored. It turns out this process and the cards used were provided by a third party vendor called VidPro, which was based in Dallas. 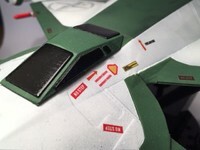 They would print the required cards and displays and provide them to toy and electronic stores as needed. Today, VidPro cards are considered a minor collectible, with ones printed for unreleased and especially popular games commanding a premium. 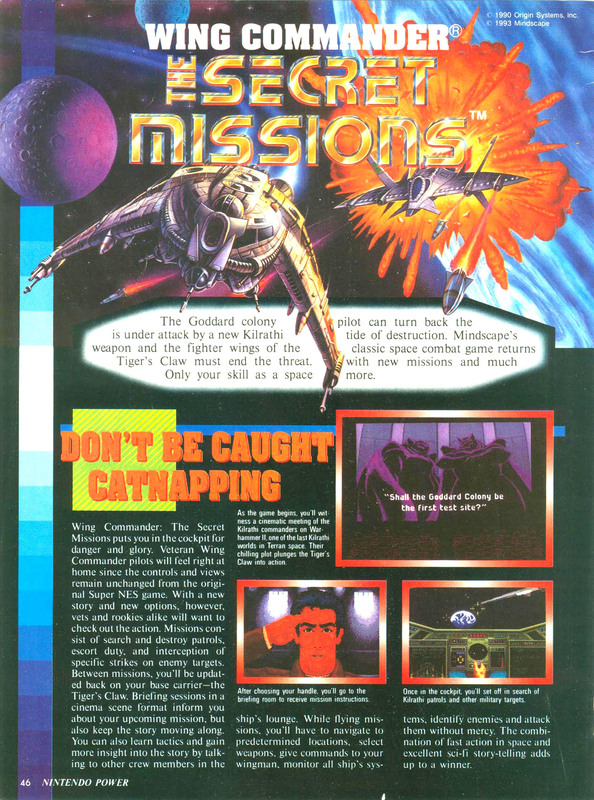 In honor of TRU's final days, we tracked down a copy of the VidPro card for Mindscape's SNES port of Wing Commander I (scanned below.) 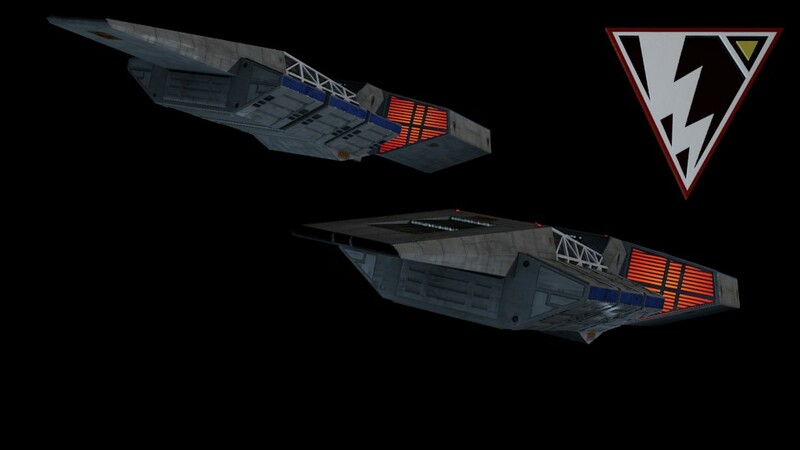 We've also established that cards were available for Wing Commander III 3DO and Wing Commander IV PSX. 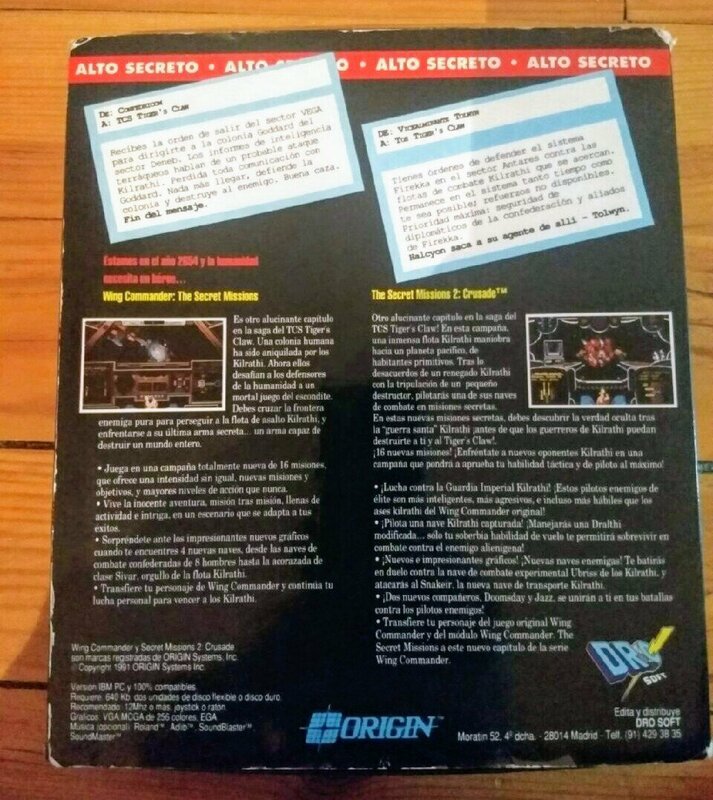 It's likely (but not certain) that there were also cards for The Secret Missions SNES, Super Wing Commander 3DO and Wing Commander III PSX. If you have one of these in your collection, we'd love to see it! 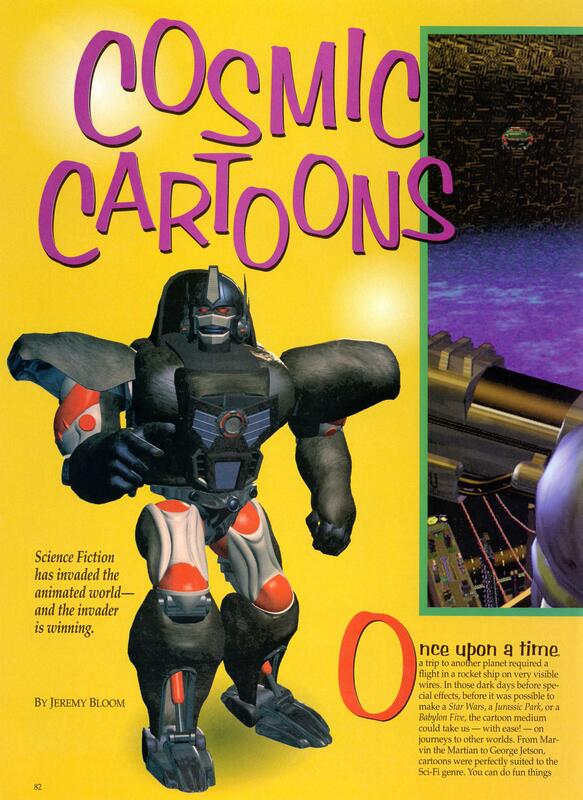 As a bonus, here are scans of a "Cosmic Cartoons" article published in the April 1997 issue of Sci-Fi Entertainment magazine (the official magazine of the Sci-Fi Channel.) The article previews Wing Commander Academy and several other genre shows airing at the time. 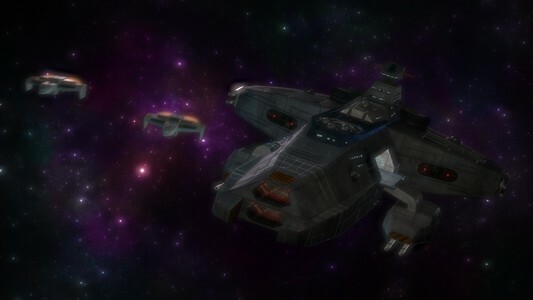 Reboot, a major focus of the article, returns to Netflix with an all-new spinoff series today... if only Wing Commander could do the same! The Game Genie was a 'cheat' utility for cartridge-based systems developed by Galoob in the early 1990s. 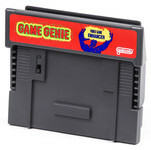 Game Genie hardware would act as a physical bridge between a game console and cartridge, allowing players to enter codes that would alter specific memory values in a given game. This would alter the game while in play, making changes to values like number of lives, amount of ammunition and the like. 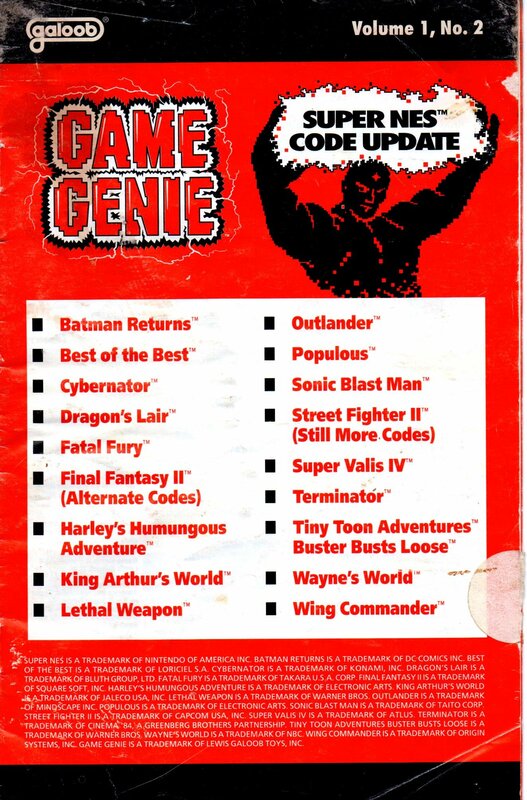 To allow the device to remain up to date with current releases, Galoob published a quarterly "Code Booklet" that listed cheat options for the latest titles. 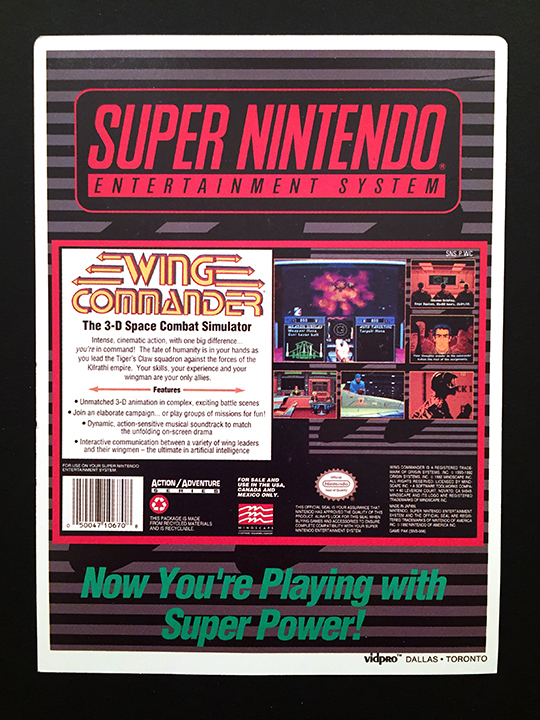 Three issues of the Super Nintendo code updates added listings for Wing Commander and The Secret Missions: "Vol. 1, No. 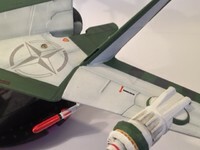 2" (Wing Commander,) "Vol. 2, No. 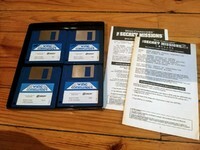 3" (The Secret Missions) and "E2C" (a compilation which reprints the codes from earlier booklets.) 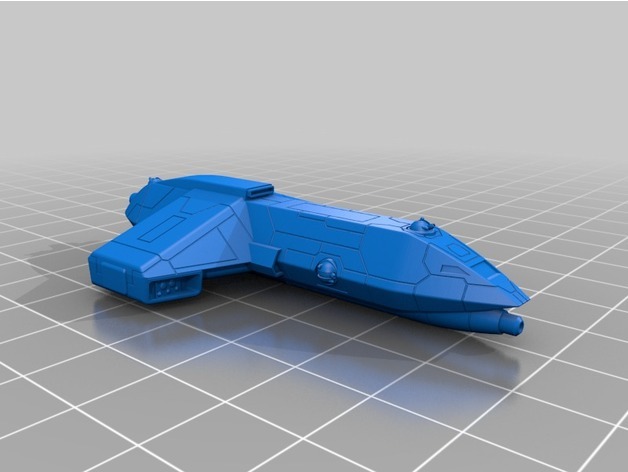 Scans of the Wing Commander enries are available below. 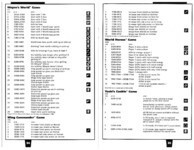 Note that these codes are still useful for those running the games on modern systems; Super Nintendo emulators typically include an option to enter them. 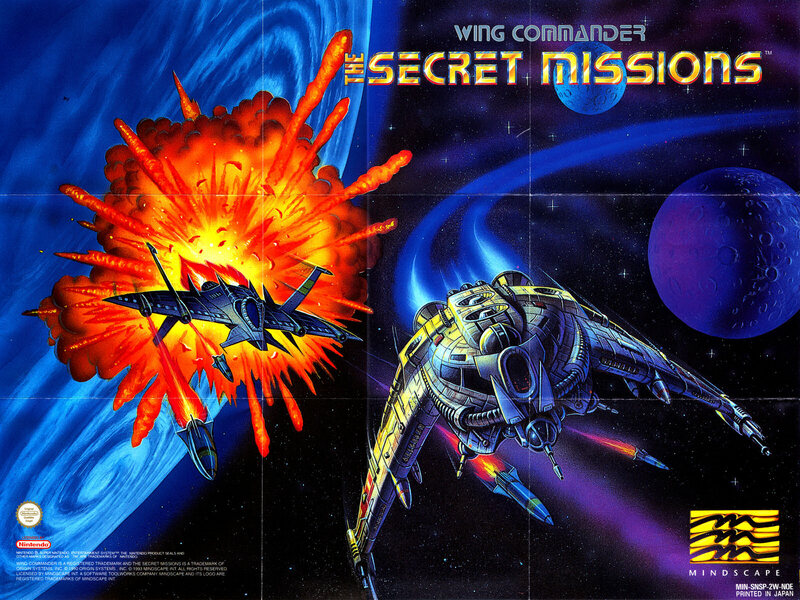 The codes for Wing Commander are specific to the Hornet and Scimitar while the Secret Missions selections have a much broader impact on the game. 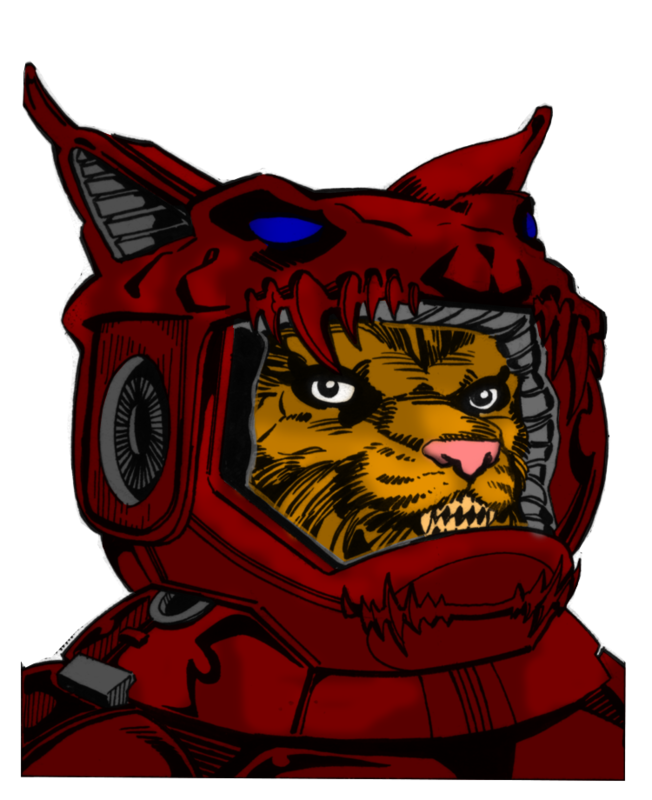 It's not every day you come across a new piece of early '90s Wing Commander art, but last Tuesday was one of those days for LOAF! He found a tiny thumbnail of the Amiga CD32 box, which was half dominated by familiar but stylized WC scenes. 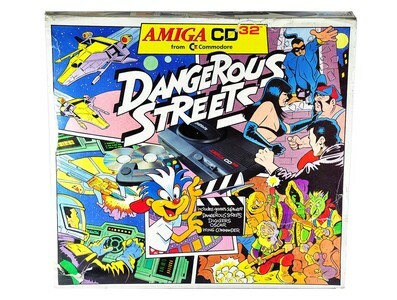 The CD32 was a computer/console hybrid, and the set here included the Amiga version of WC1 on CD. Some deep digging led to a higher res version, but it was faded and blurry. Tim finally came to the rescue and provided a crisp bold copy of the cover art, so now you can take a good look for yourself. Very cool! Here's a higher resolution shot of it! 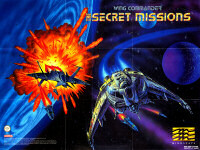 I'm so happy finding Wing Commander artwork I've never seen. Shroud of the Avatar Released! Origin founder Richard Garriott has released his spiritual sucessor to Ultima, Shroud of the Avatar. The game is an MMO RPG set in New Britannia. 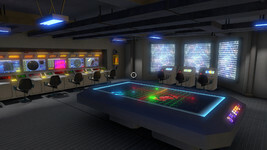 It features flexible character customization and an extensive embedded storyline. 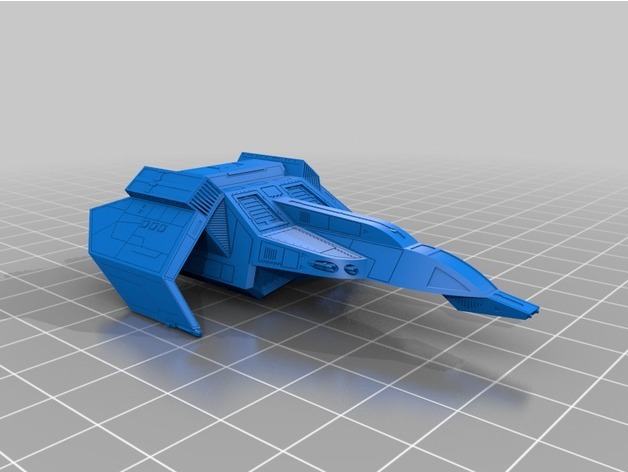 The concept first launched on Kickstarter back in 2013 with prework that dates back even a couple years further. 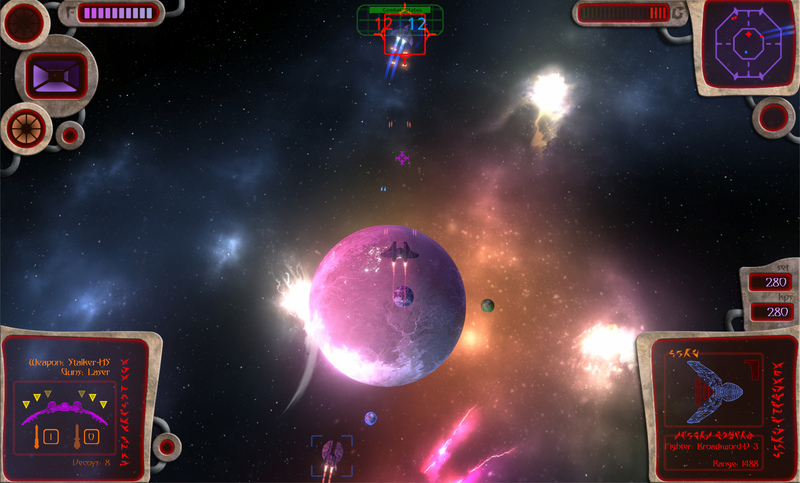 It's been in a state of playable beta for about four years, but today transitioned to fully released game. Backers that participated in the crowdfunding campaign should receive any physical items they are due soon. There's also a free trial for anyone who just wants to check it out. Congrats to the Portalarium team on achieving this huge milestone! OUT NOW! Shroud of the Avatar: Forsaken Virtues is a multiplayer fantasy RPG and the spiritual successor to Richard Garriott’s wildly successful Ultima and Ultima Online games. There's a really cool project that has revamped the title art for hundreds of Super Nintendo games. WhaddupNico upscaled 300 iconic '90s logos, including Wing Commander. Each one took at least an hour, on average, and all are available in vector format for all your huge resizing needs. For mass consumption, Kotaku also made an animated gif that's easy to load and scrolls through them super fast. You can check them all out individually or grab the source files at the original gallery here (mirrored here, 220 kb .ai). Origin composer George Oldziey has put together a new professional musician's reel. 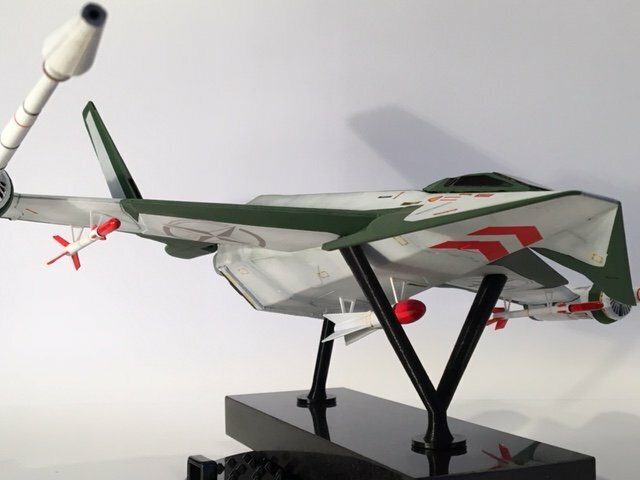 If you just followed his Wing Commander work, you might be surprised how many projects he's been behind from Kill Bill to Sin City to Spongebob Squarepants. 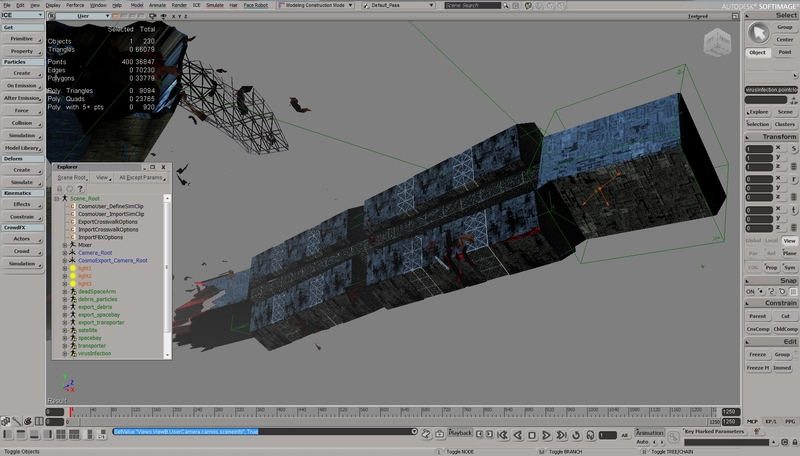 He's also spliced together this nifty video that shows off various samples of his work in action. It's pretty neat to pick out his signature style through bits and pieces of other work. Check out the clip below or download the audio reel files for yourself here. Award winning composer, George Oldziey was an in-house composer for Electronic Arts, for whom he created scores for some of the biggest hits in the video game industry including the Wing Commander, Ultima and Crusader series. He continued to compose and produce music for other major video game titles, including Spongebob Squarepants for Playstation 2, the epic orchestral score for Shaiya, Red Faction: Guerilla, and Crimson Alliance. George joined forces with film director Robert Rodriguez to create the score for Spy Kids 2 and has since served as composer, contributing composer, orchestrator and score producer for other feature films such as Spy Kids 3D, Once Upon a Time in Mexico, Kill Bill, Volume 2, Sin City, Grindhouse - Planet Terror, The Adventures of Sharkboy and Lavagirl, Shorts and Sin City; A Dame to Kill For. George has also scored numerous documentaries and short films, including the award winning short film Remember Me, which won the award for best musical score at the 2017 168 Film Festival. 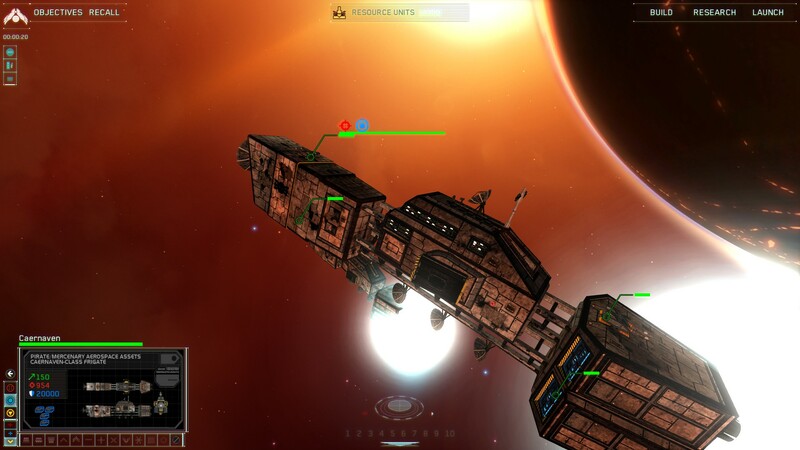 PC Gamer has launched a new best space games article. 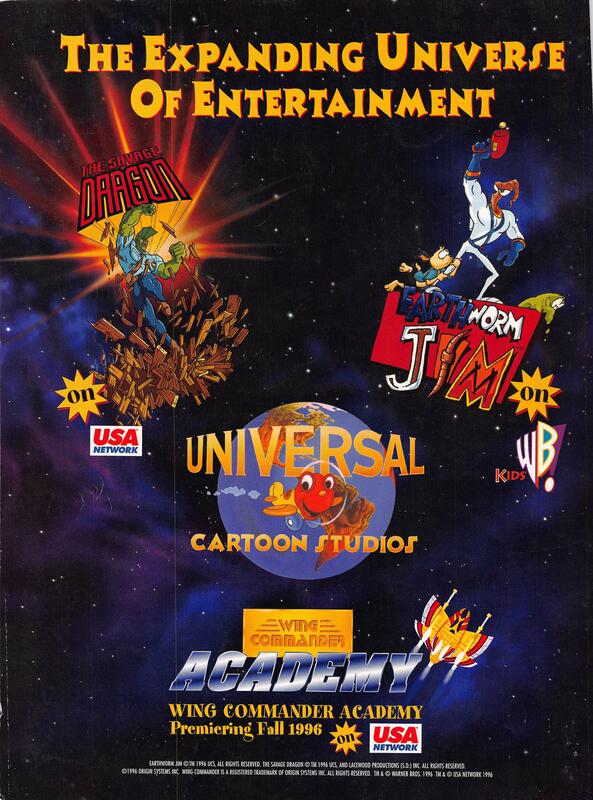 For starters, the list is rather long with more than 30 titles, and since it's "space games" rather than "space sims," there's some diverse jumping around between genres, which makes this one interesting. The majority of items here are from just the last few years, but there are three from the '90s: Privateer in 1993, Tie Fighter circa 1994 and The Dig from 1995. Rarely would we expect to see this trio called out amongst the likes of Destiny 2, No Man's Sky and Kerbal Space Program. So all in all, it's an odd assortment, but that also means it pulls in a slightly different audience than normal. They also provide the GOG link, so hopefully this draws some new fans into the fold! Mark Hamill aka Luke Skywalker from 'Star War' received his star on the Hollywood Walk of Fame. George Lucas, Harrison Ford and more were on hand to present Hamill with the honor. Mark thanked his fans and even ended his speech with his infamous joker laugh. 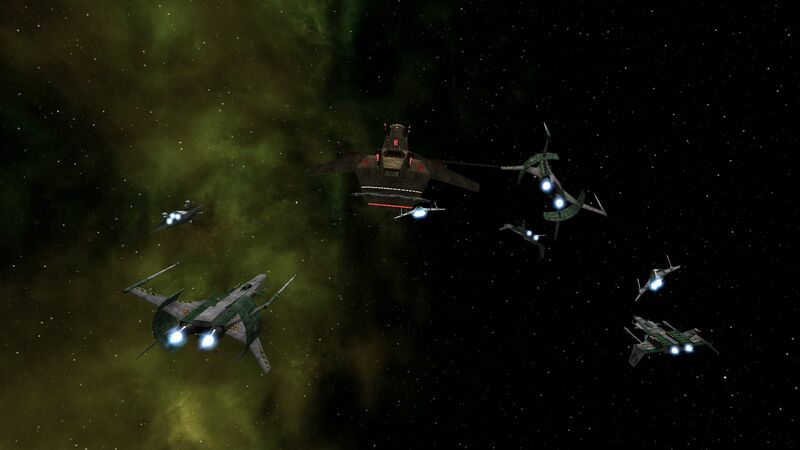 The Upper Memory Block podcast has kicked off a fun play-through of Wing Commander 2. 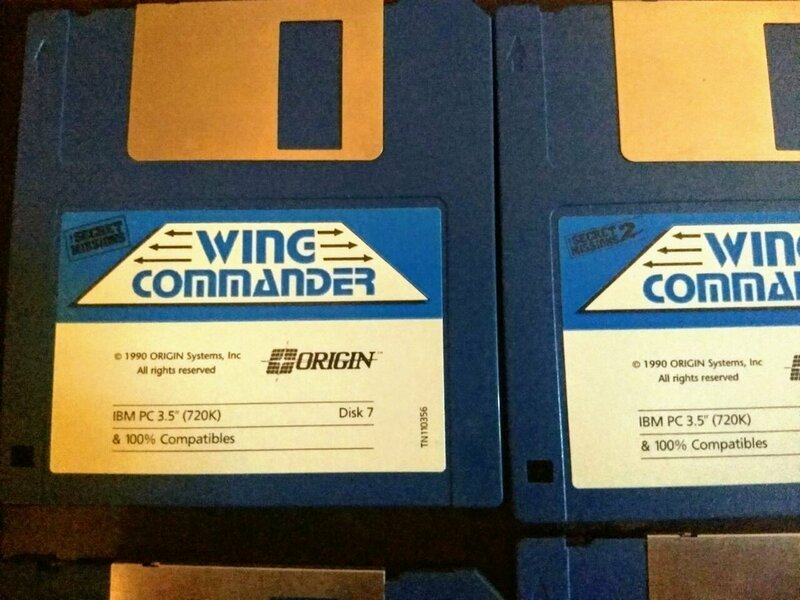 Game streaming is a common pastime this days and there are lots of folks out there recording their Wing Commander sessions, so we don't highlight them all. 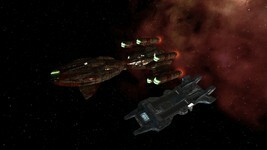 But UMB is a big fan of the Wing Commander series, and they have a lot of similar contemporary interests to Wingnuts. Unlike some streamers who are just picking up the series for the first time, the show's host also knows a thing or two about WC and includes this commentary throughout. He's also got a really cool "MT-32 cam" that shows off the display messages that accompanied the enhanced sound. 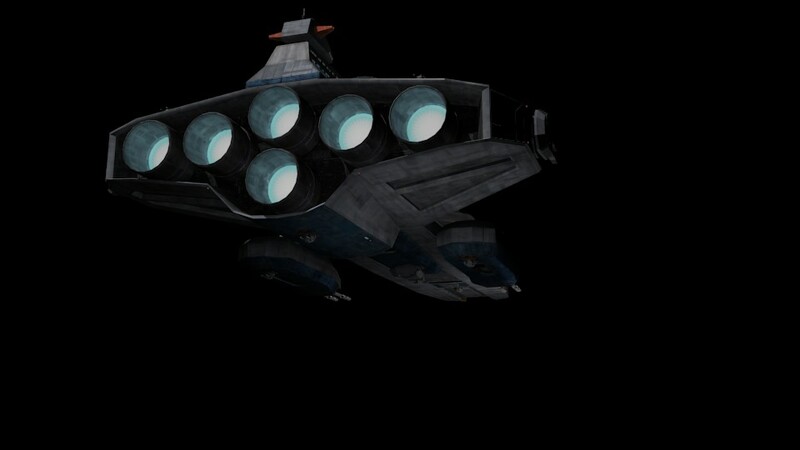 It's pretty cool to see the special Wing Commander sound effects make an appearance here! Check out the first two episodes below. 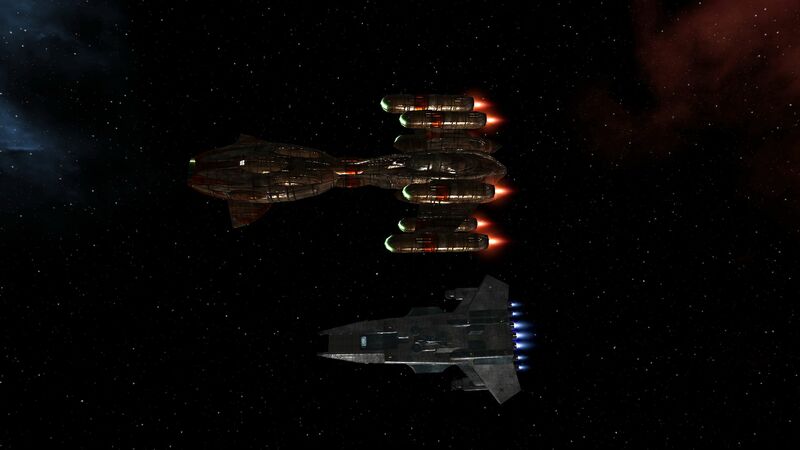 In the first of a new series, watch as I play through the first four missions of the amazing 1991 Origin space sim, Wing Commander 2: Vengeance of the Kilrathi. In the next part of our Wing Commander 2 let's play, we jump to the Niven system, have an alibi for a murder and only blow up one time! 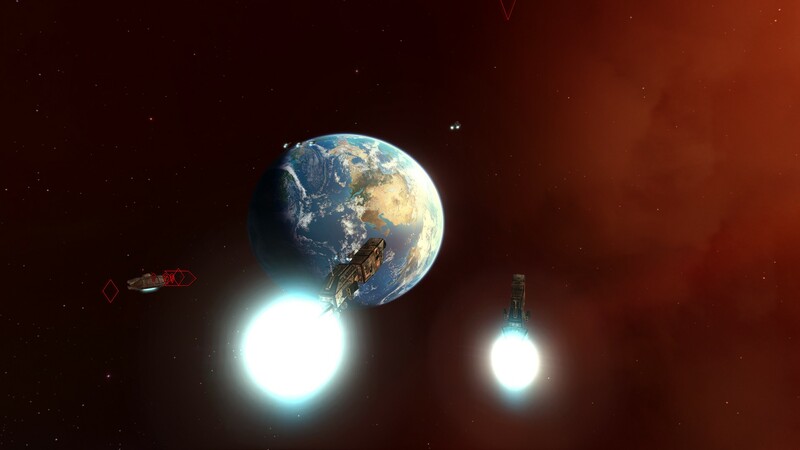 It's a big week for the Homeworld Remastered Mod! 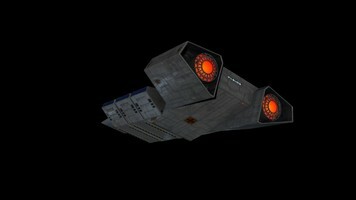 Their long-awaited Black Lance upgrade has now been released. Fans can grab it at either the Steam Workshop or ModDB, but users with a current copy will get the update automatically. Although L.I.F. marks this at the point where the remastered mod finally reaches parity with the original WC4 Homeworld, that also undersells all of the great work he's done over the years to expand the game graphically and code in even newer features that weren't in the original. It's been one of the most consistently updated projects over the last few years, and all that hard work is really evident. Great job! The Black Lance faction has been released as part of the main Flag Commander mod (nothing new to download, it will get automatically added), and the pirate/privateer gameplay feature is included. Enjoy, people! 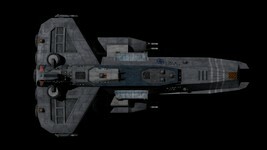 A really big thanks to DefianceIndustries without whom this would never have been possible, the mate having remastered the ships of this faction. After a bit less than a dozen years, the mod is finally showing the same faction lineup as the initial version by czacen. Dang, it's been a long time. But the work is not over! 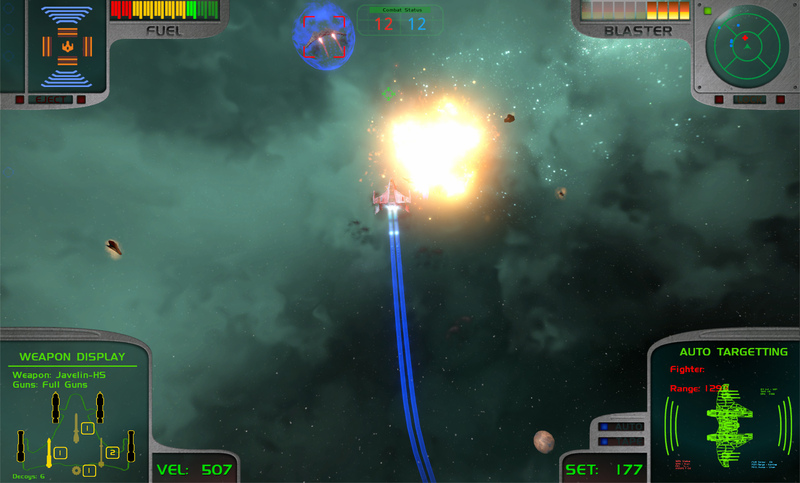 If I can make work the missile/torpedo/decoy script, there will be a massive new gameplay update. And there is some content to add too over the next few years. Still, the factions are there, the AI is working. Feels damn good, people. 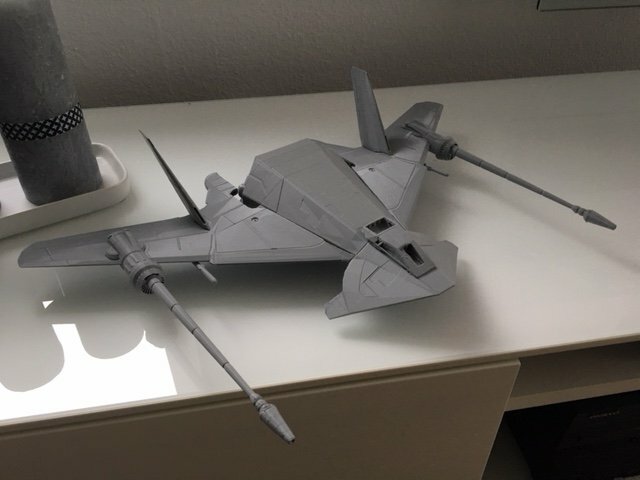 Thanks to all of you, to the Wing Commander Saga team, to Deathsnake, to Klavs81, to Howard Day, NinjaLA and all others for their creative work, their willingness to share with their community. And to everyone in the CIC community! The WC Toolbox has gotten smarter with another new update. 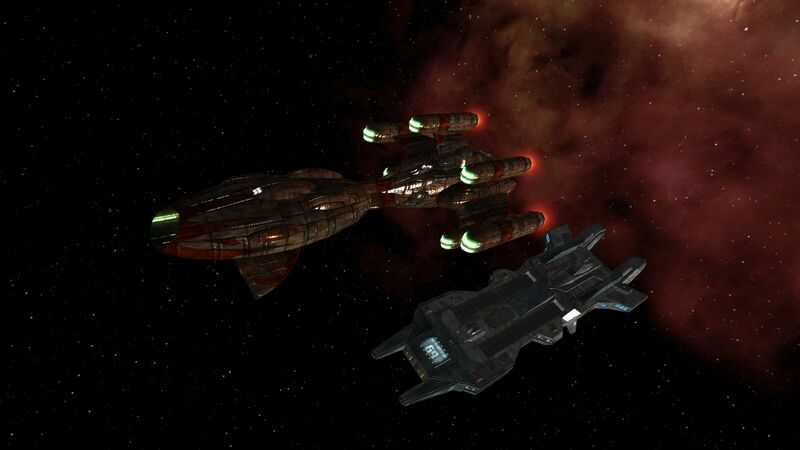 Version 4.2.0 beta 1 expands the program's understanding of Wing Commander 2's campaign and gameflow type data files. While digging deep into the code, Unnamed Character also uncovered some new complexities, but that's all just part of the fun of digital archeology! Grab the program and start poking around in WC1/2 yourself here. Another update for WC2, added support for the CAMPAIGN, GAMEFLOW, INCIDENT, and SERIES files; all these files are structured the same way. But this time around, there is a complication: these files have bytecode embedded in them. This means the flow of the game, the cinematic scenes, including all of the dialog, was done using a custom scripting language. 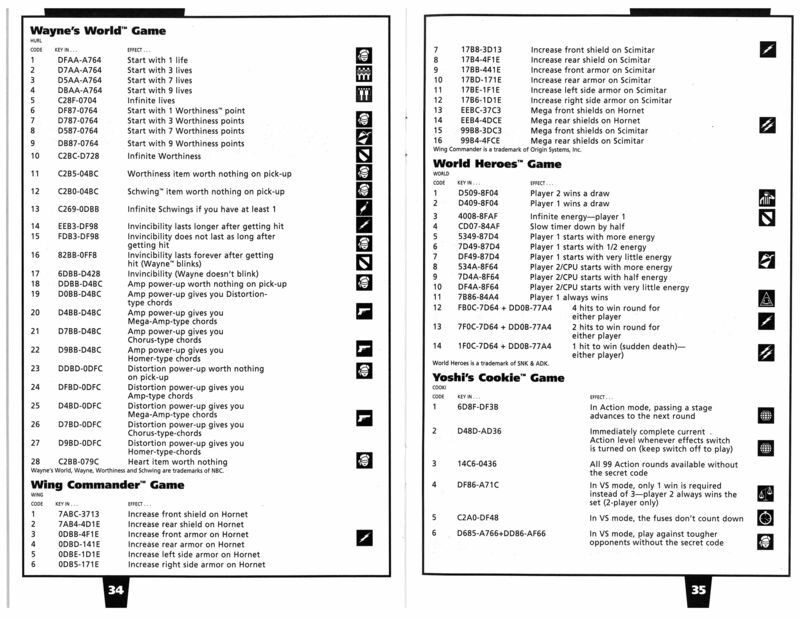 Which was then compiled into a custom set of instructions to be executed by the game itself using a custom interpreter. I have never seen any examples of the scripting language used for the game or even any mentions of it. As far as I know, this bytecode is completely unknown, undefined, and undocumented. The only way to tackle this is to completely reverse engineer it; I don't imagine that to be a small undertaking. In any case, for the time being, I simply export these bytecode chunks as binary files. A couple of monster models have made their way into the Last Line of Defense project. 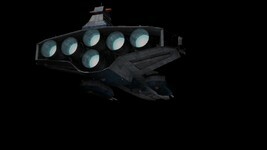 Using some newly discovered information, Deathsnake has scaled up his fearsome Rigakh cruiser. Fairly credible stats imply it's even larger than the Confederation class dreadnought! 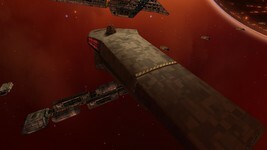 The Vega Sector Star Post design has also been added. 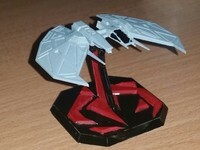 It's a great looking design - and it looks even better with a wing of Raptors bearing down on it! 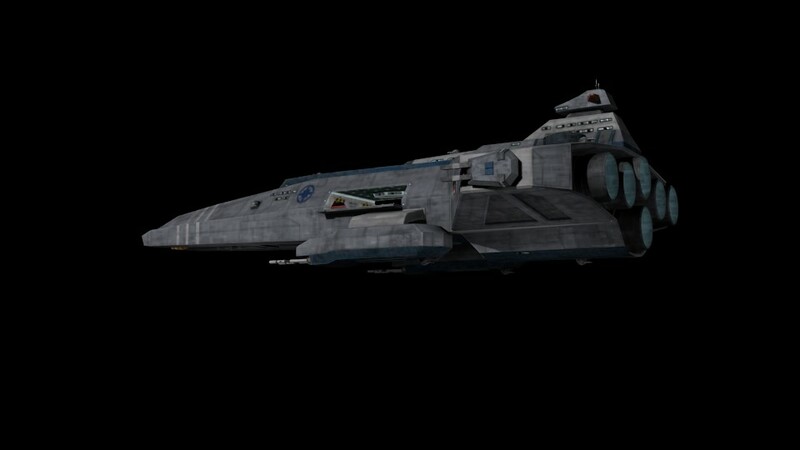 Continued to Transfer old ships into Saga and make some changes..
After leading the charge with a pair of exotic Black Lance designs earlier this year, DefianceIndustries has circled back around and completed the Evansville class transport that we see in Wing Commander 4. 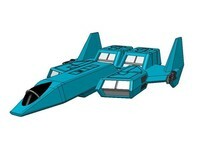 It has a fairly sleek profile for a transport as well as oversized engines, which form a pretty effective combo. There's no better way to sneak clandestine cargo to out-of-the-way places! Are you tired of pirates flying off with your shiny coins? In these hard economic times, who isn't? 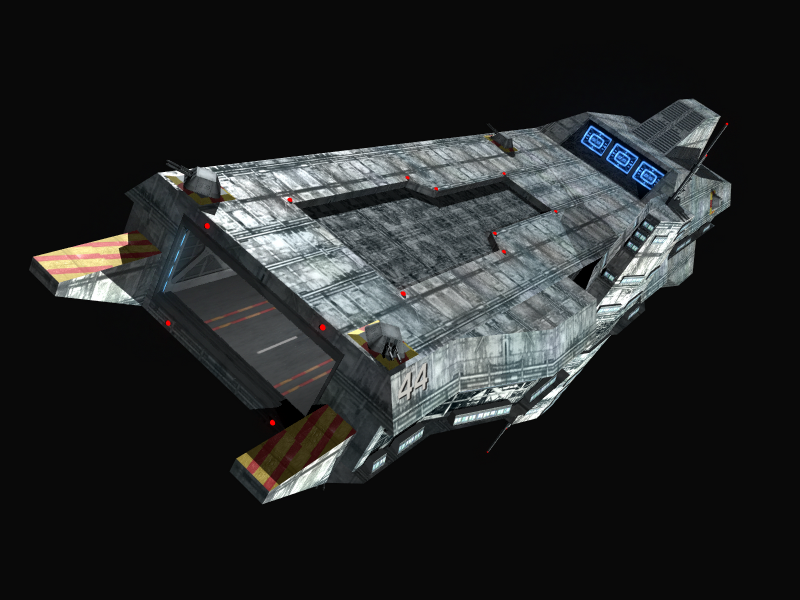 Allow me to present to you the Evansville fast transport, the solution to all your cargo-carrying woes! What's that you say? Clarkson got ya covered? Not along the Borderworlds bucko! Pirate and Union attacks are up 30% over this time last year, and that means shipping & insurance costs have gone through the roof! The solution? 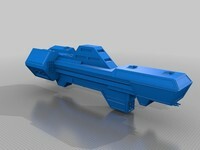 You guessed it, a freighter that's a fast as a frigate and almost as heavily armed! Haul your goods the (Redacted) way with an Evansville! Excerpt from unused marketing material discovered on an old hard drive hidden in an unused lavatory with a sign on the door reading, "Beware of the leopard". Confederation hull plating is well known for its green texture, and terran soldiers even occasionally sport a green tinted outfit, but it's a far less common color on the Kilrathi (aside from the kats that actually have green skin). We know the common brown color of Kilrathi ships comes from the hue of their local durasteel, but there's one major exception to this: the green Salthi - or Jalthi, rather. 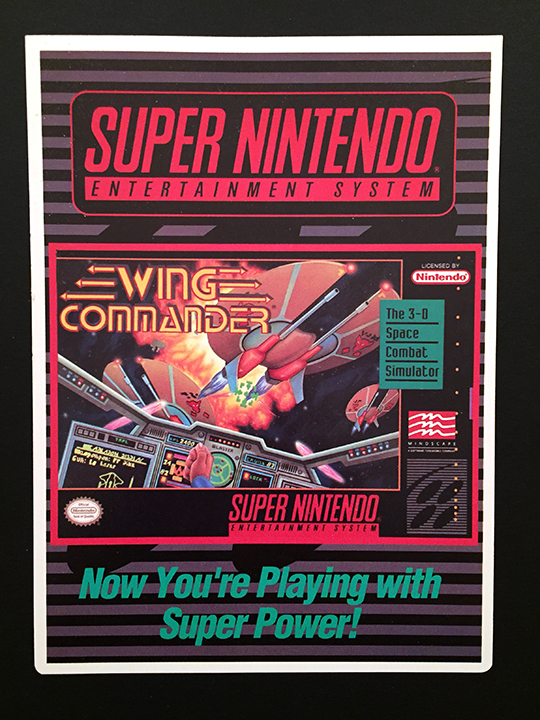 The Secret Missions for the Super Nintendo had to squeeze to fit everything on the cartridge, and one noteworthy cut was the elimination of the six-shooter Jalthi model. 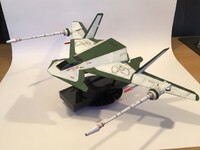 The ship wasn't removed form the game however, and it appeared instead as a Salthi made over with a green color palette. 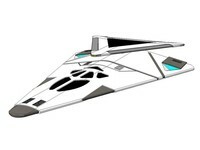 It's an interesting design choice to remake the game's weakest ship as its most powerful by simply swapping color, but it's a decision the designers did not shy away from. 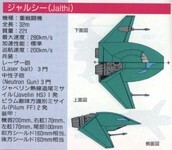 In fact, they doubled down and made the green Salthi/Jalthi the premiere ship that appeared on the box cover, with the included promotional poster and in various marketing materials. In these detailed drawings it appeared loaded up with guns and missiles, so there should have been no surprises when this hard hitting little ship appeared. 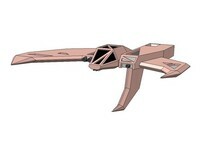 And this isn't the only time the Salthi could be confused for a super ship. 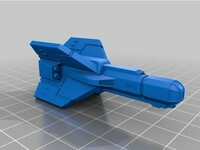 The Super Wing Commander Salthi and the Privateer Salthi with steltek guns both use the same model! Magnets & Miracles Gaming has put together a historical overview video series going through some of Chris Roberts' older games and how they formed the genesis of what we see being planned for Star Citizen. 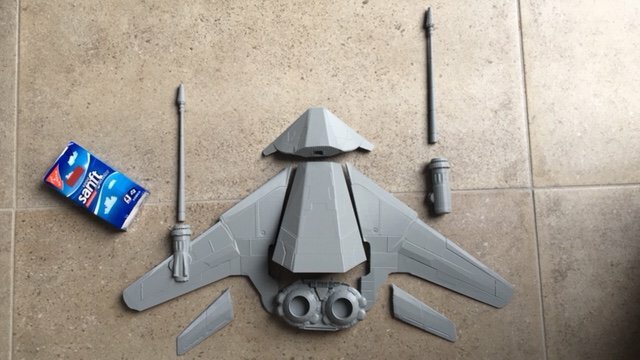 It's similar to what the Cloud Imperium crew put together in their series of RSI Museum videos. 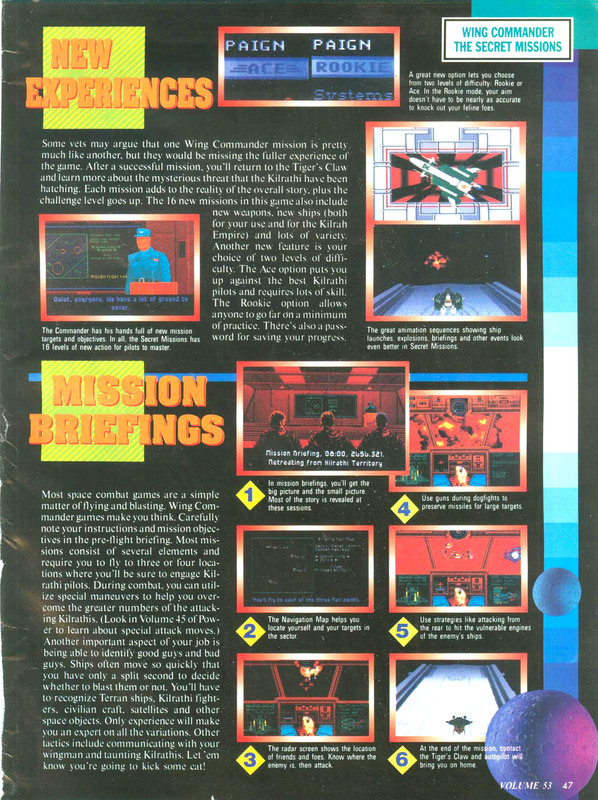 Part 1 focuses on basic back story, Wing Commander and Wing Commander II. 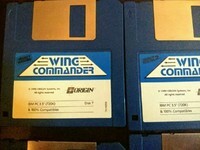 Part 2 covers Strike Commander, Wing Commander Privateer, Wing Commander 3 and Wing Commander 4. Star Citizen is older than 2012. In fact its roots lie deep in the 90s. 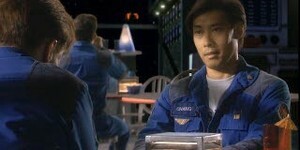 Do you know Wing Commander? Starlancer? Freelancer? No? Yes? Doesn't matter. Enjoy the video! Christian Klein, the Pixel Engineer, has dug up another awesome European localization. 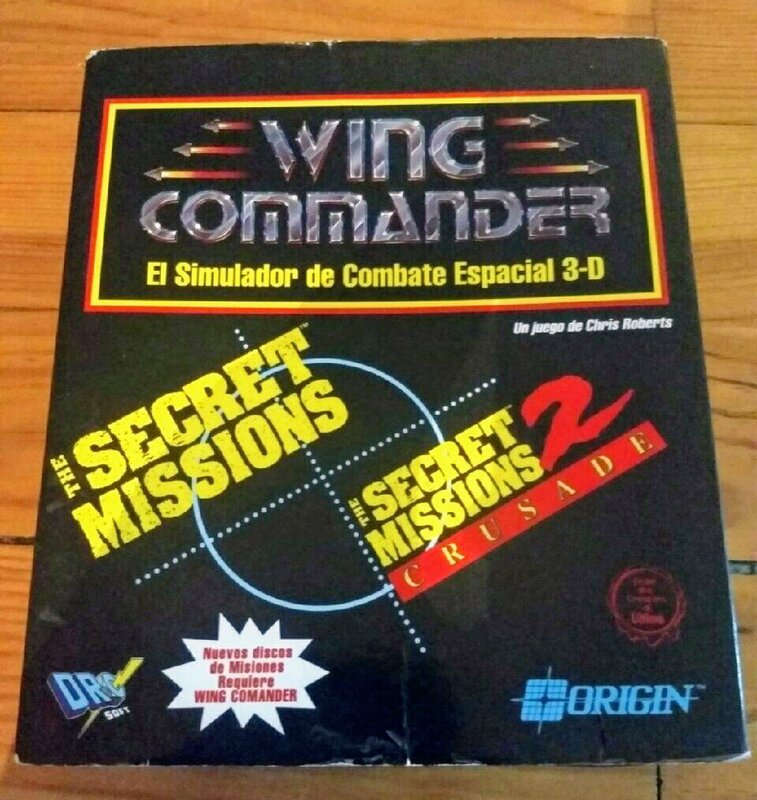 It's a second Spanish DROsoft box that includes a combination of both Secret Missions in the same package! 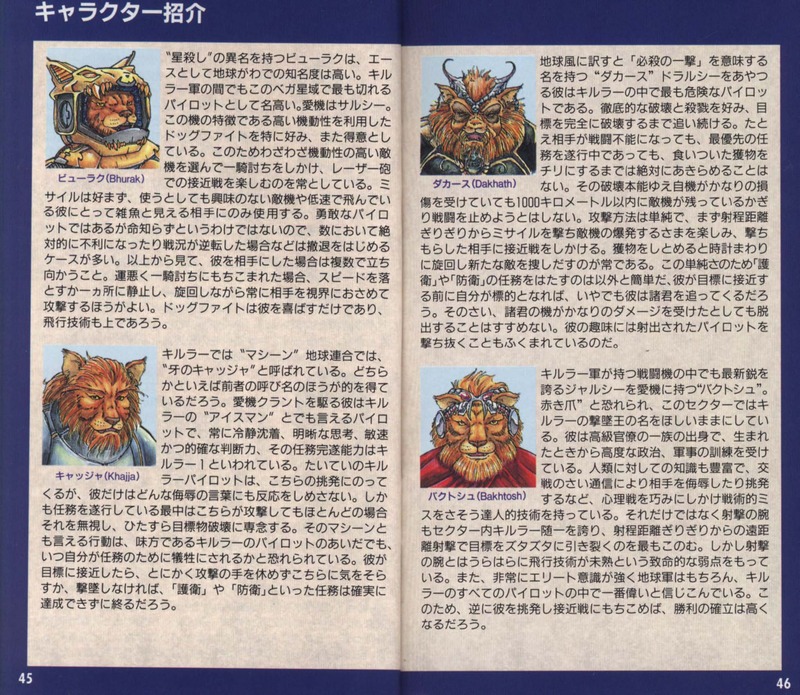 The reverse side of each has been translated and combined into one, but the included paper inserts appear to still be in English. What a cool collector's item! You can find the core WC1 counterpart here. 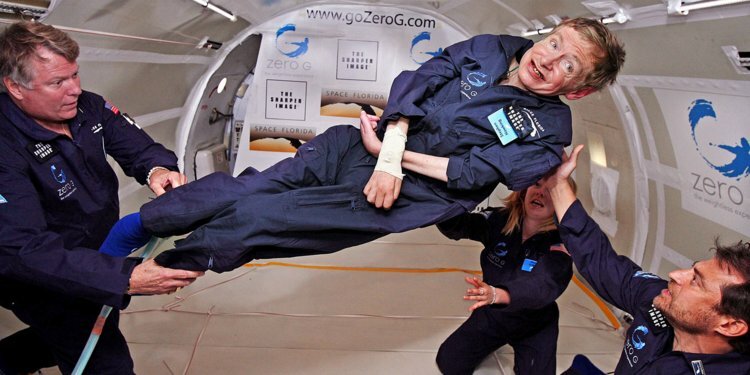 The extraordinary theoretical physicist Stephen Hawking has passed away and tributes are pouring in from across the internet. As a genius thinker and pioneer in space, he made his mark on the whole genre of science-fiction, including Wing Commander. 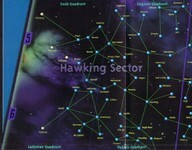 On the universe map, star systems are often named after developers, authors and even fans. 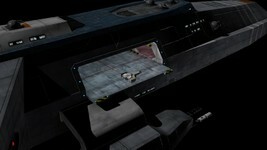 Large quadrants are reserved for luminaries such as Chris Roberts himself. Massive sectors are the backdrops that entire Wing Commander games exist in with famous names like Vega, Enigma and Gemini. 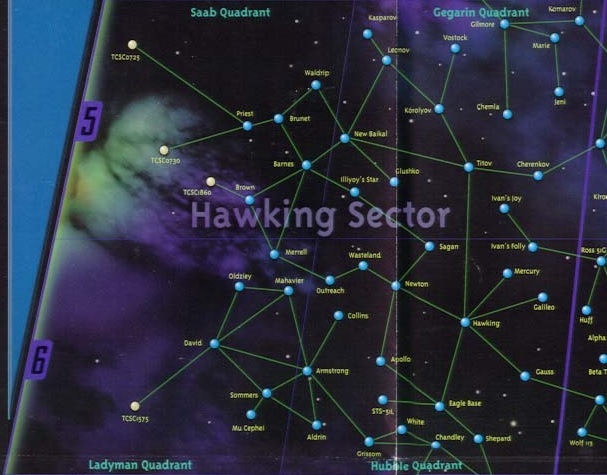 Just one sector was named after a living person, and that person was Stephen Hawking. 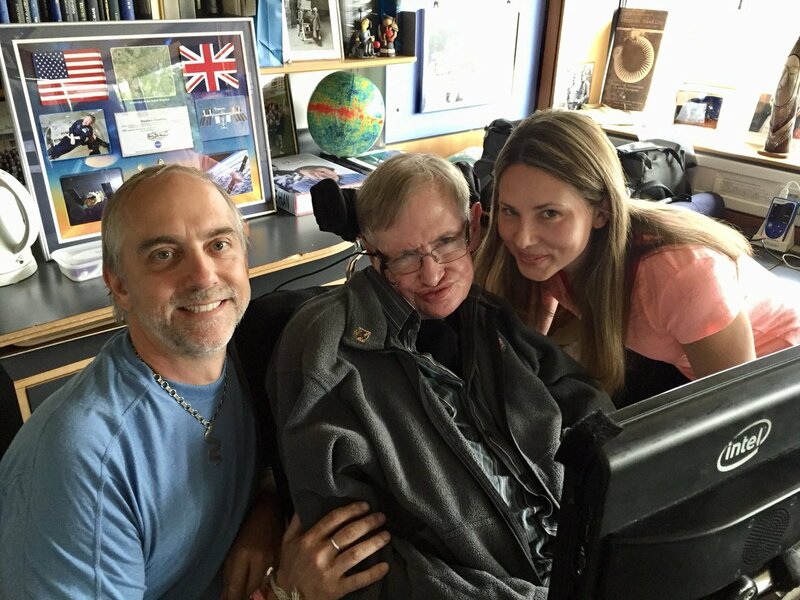 Mr. Hawking was also friends with Origin founder and second-generation astronaut Richard Garriott. They famously explored zero gravity together aboard the vomit comet and collaborated to advance the cause of science and space exploration over the years. That he passed away on Pi Day is especially fitting and helps ease the loss slightly - he couldn't have calculated a better time to go! 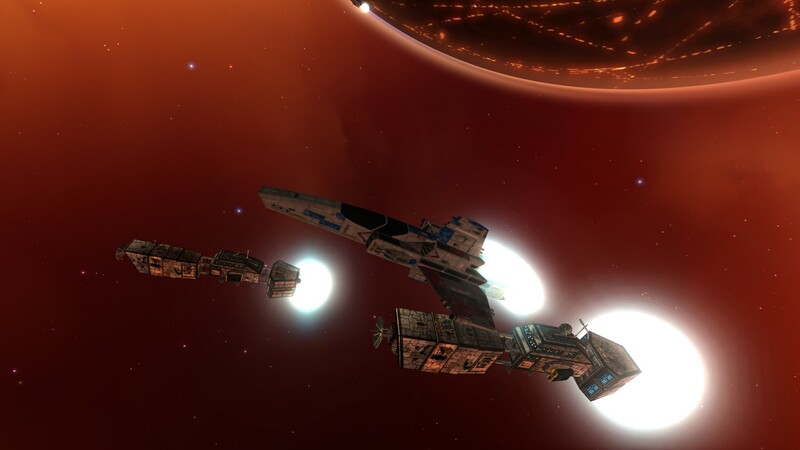 The Homeworld Remastered Mod will soon be getting a new pirate element to counter the game's supply convoys. 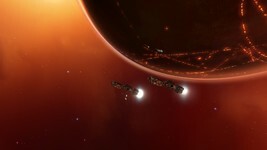 This means that players will now need to defend their inbound transports to keep marauders at bay. 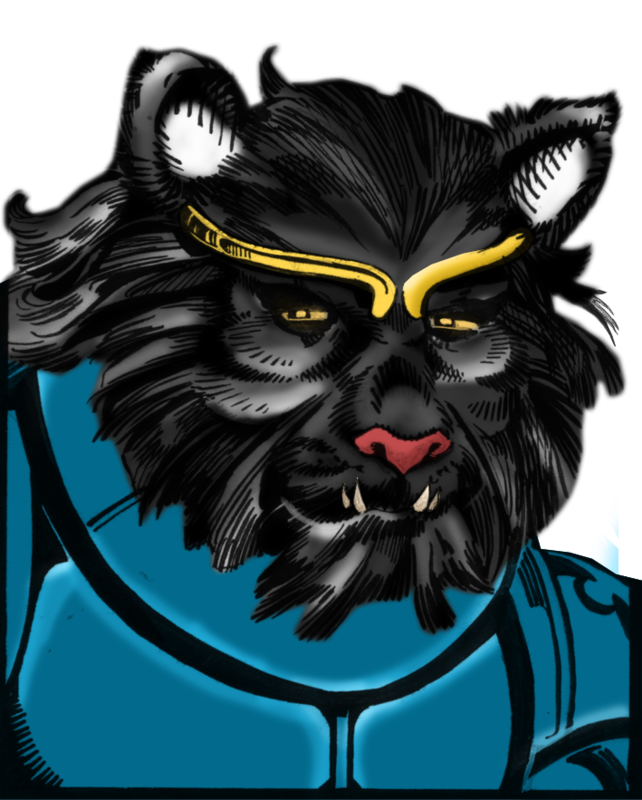 There are also some potentially sneaky tactics that the Black Lance faction will be able to employ, since they can create pirate units that may be able to blend in with run-of-the-mill pirates and privateers. L.I.F. 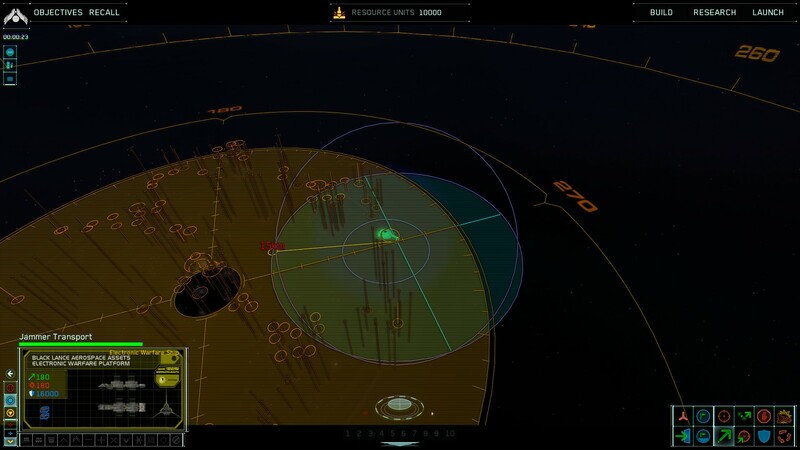 is also considering how this gameplay mechanic could be expanded to apply to neutral base captures and the like. This is a pretty cool addition to the game that adds another strategic layer that fits well into the Wing Commander universe. The Black Lance faction has been using Pirates for deception and false flag attacks, which is why they are capable of building and deploying Pirate units such as the Razor, the Thunderbolt and the Caernaven frigate. However, if it was just this, the only result would, let's be honest, be to give low-level units for the Black Lance and that's it. There would be no interest beyond their lore and unique appearance, and that, people, would not do. 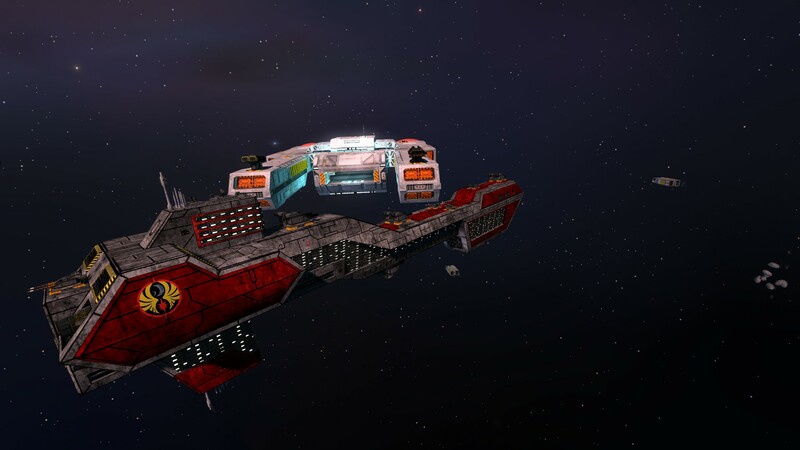 So, to have these ships become slightly more interesting, I just added, for the next update, a new gameplay feature that will complete the convoy system: pirates. Right now, every player has a jump buoy spawning a transport ship bringing supplies to their main base. 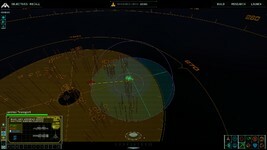 The idea would be that attacking these ships would be profitable, as well as defending them, but trusting the AI or the player to just use this opportunity is a bit too passive, so from now on, the same jump buoy will also spawn a pirate unit made of two frigates, two Thunderbolt and four Razor which will automatically head towards enemy convoys and attack them on its own. Just like the convoy ships, the player will not be able to give them orders, and if they lose their target for a reason, they will automatically reacquire a new convoy to loot and plunde. 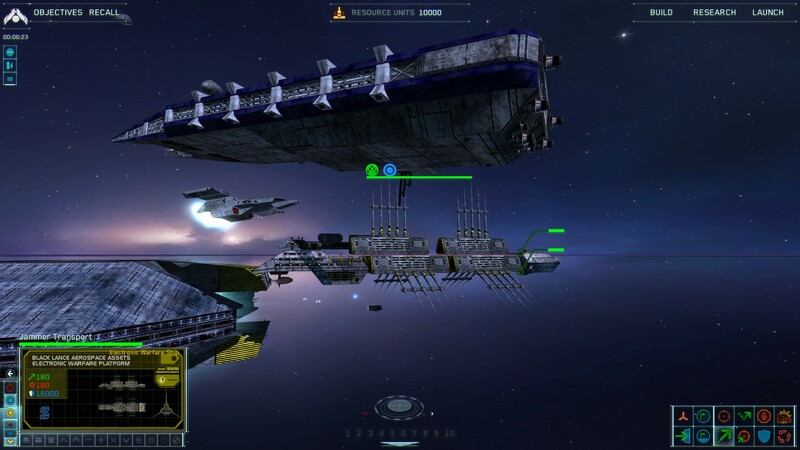 First of all, it will force players to protect their convoys, add some more action to the games as the pirates could stumble on other units by chance. 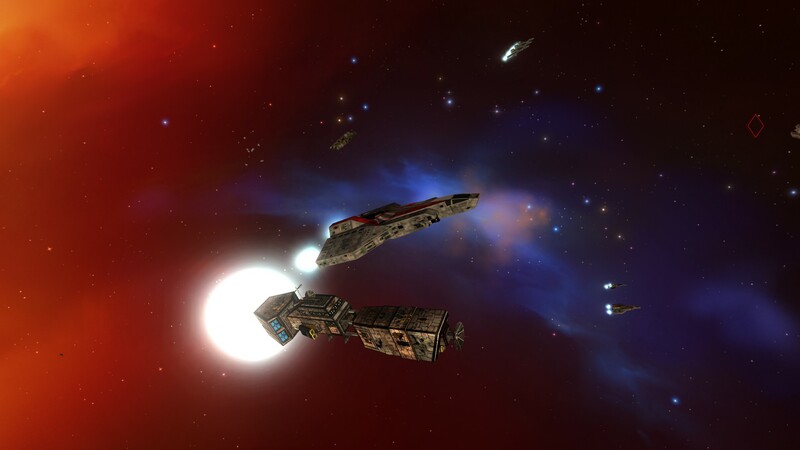 Second of all, it will be useful for the players to know the heading of at least one enemy convoy, by following the privateers (when bloodthirsty criminals attack your foes, they are privateers, not pirates, this is a very important distinction, people). Last, and very much not least, this will make pirates a common sight in-game. 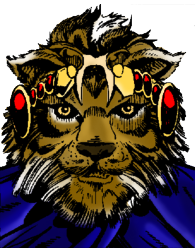 Adm_Maverick has drawn some interesting colorizations of WC1's Kilrathi aces. They're rather well done with good diversity of armor color and fur styles. And he actually mostly did them without knowledge of the Japanese Claw Marks that has its own take on each of the characters, which provides for an interesting comparison. There's two versions of Khajja so that Maverick could test out both Lion and Panther-themed coats. 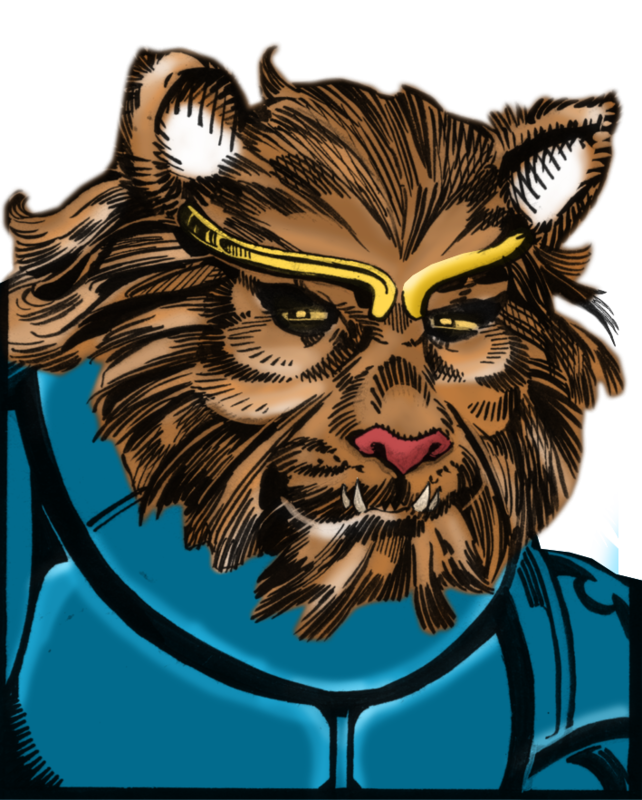 We know there's an enormous range of possible Kilrathi fur pigments, so everything here's plausible! 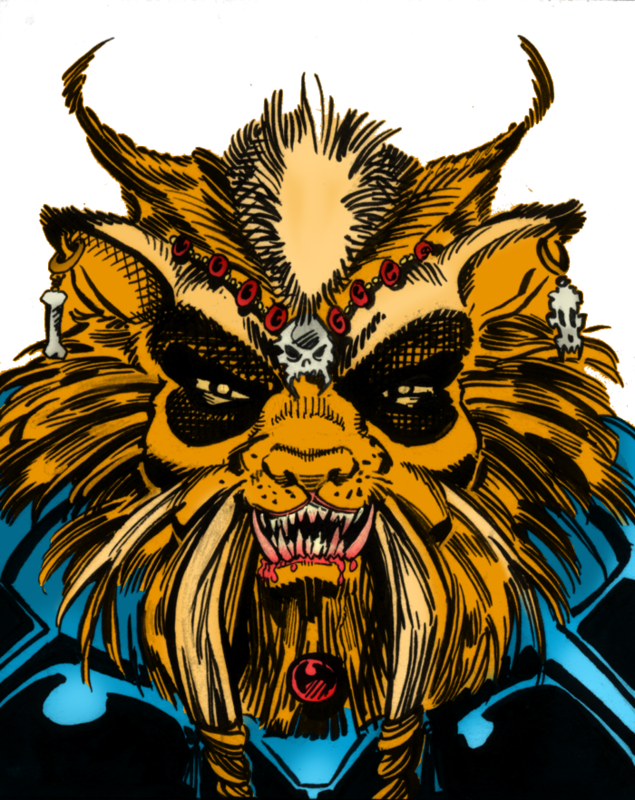 So in a sort of weird not exactly but still connected tangent to my idea of a Wing Commander Miniatures game, I did some coloring of the image of the Kilrathi Ace, Bhurak Star Killer. 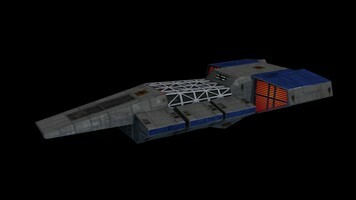 And then I decided to do all 4 of the Kilrathi aces from Wing Commander 1. Good Old Games is a site that's all about taking old gems and shedding new light on them years later. In that spirit, here's an advertisement video that they put together in 2011 to announce the addition of EA games to their library, starting with Wing Commander Privateer, Dungeon Keeper and Ultima Underworld 1&2! Somehow we missed this one in all the excitement of actually getting the games rereleased. I don't really understand the "get huge" theme, but hey, cool video! The trailer announcing Electronic Arts classics on GOG.com. Wing Commander: Privateer, Dungeon Keeper and Ultima Underworld 1+2 are now available on GOG.com! Tom Wilson fans will have another chance to meet the Maniac at the Calgary Comic and Entertainment Expo next month. He'll be in attendance on April 28 & 29. 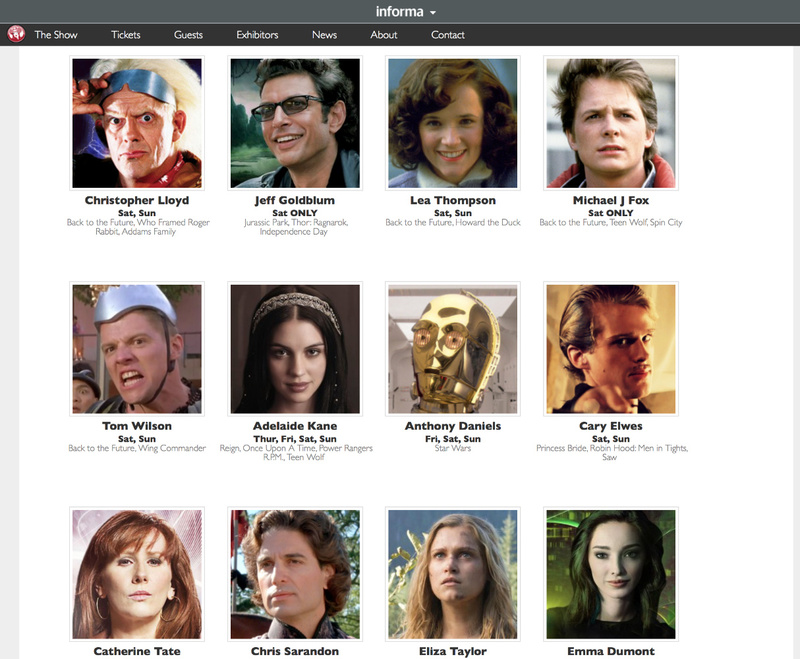 There will be dozens of other celebrities from a wide variety of places, but Back to the Future stars will be out in full force. 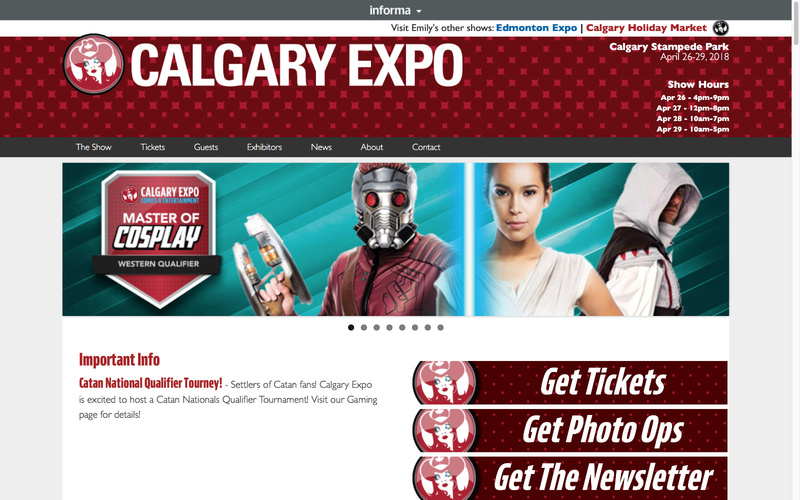 Mr. Wilson is widely recognized as Biff, but the Calgary Expo website lists both BttF and Wing Commander as his leading credits. That's thanks to all of your support around the globe! 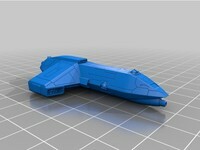 If you have an opportunity to check this, make sure you mention that you're a fan of his role in Wing Commander! 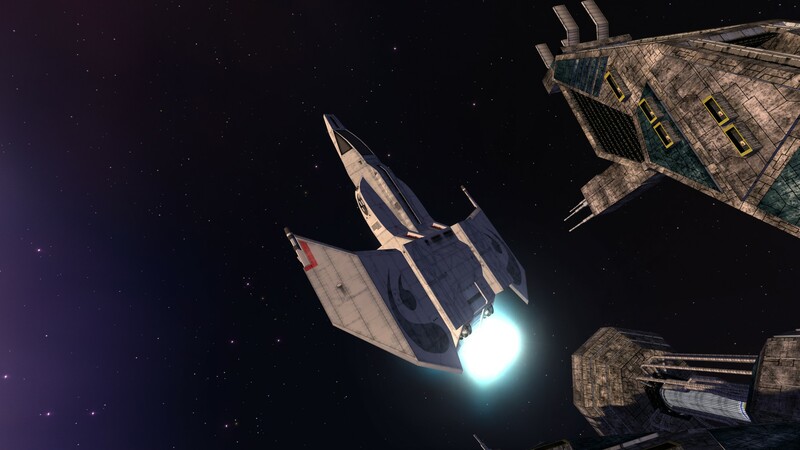 The Flat Universe team has produced an impressive top-down Wing Commander fan shooter with exciting multiplayer, but they're nowhere close to finishing the project! Provided that the player base continues to grow, the Maslas Brothers have ambitious plans for the future. 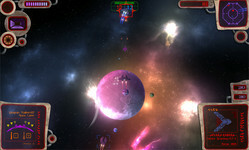 They envision a single player component that takes place in an open world that has a parallel environment for multiplayer interaction. There's an enormous amount of work to make this a reality, but they've already accomplished quite a bit. 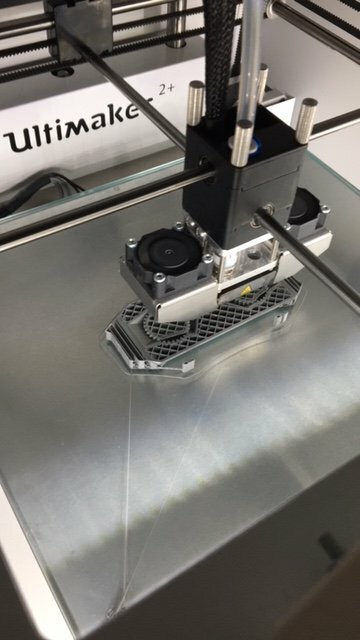 Community feedback and participation has been a big motivator, so keep it coming! Try the game out here. Our future/ultimate goal regarding server management is the following, keep in mind that we are going to reach this goal only if we are going to have a great number of registered FlatPilots. 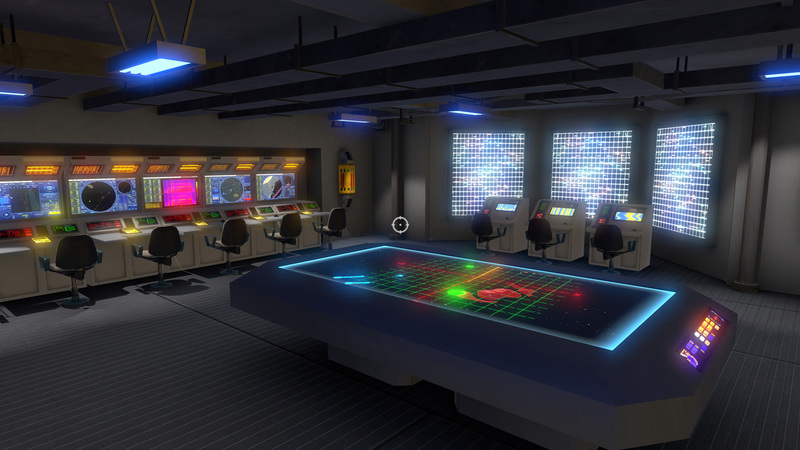 The player will have the option to play the game in single player mode where he will be flying on a free-flight mode, privateer like mode (with systems, space stations, ai traffic, pirates, militia etc.) and of course he could choose to start playing campaigns, not only one story but more just like the Quests and side Quests work in an RPG world. Now, when he will be in multiplayer mode the game will work in the same manner but on a parallel universe like an MMO where himself together with other players he could join or create squadrons giving them the choice to play coop missions. 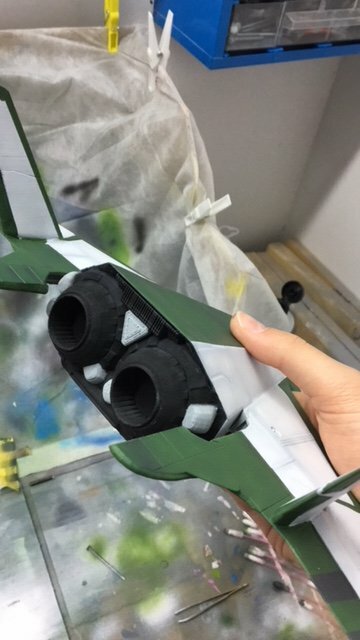 We have also decided after some propositions from the ALPHA testers to also add a multistation mode (Broadsword pilot with 3 gunners for example). The server management should work on the following logic. 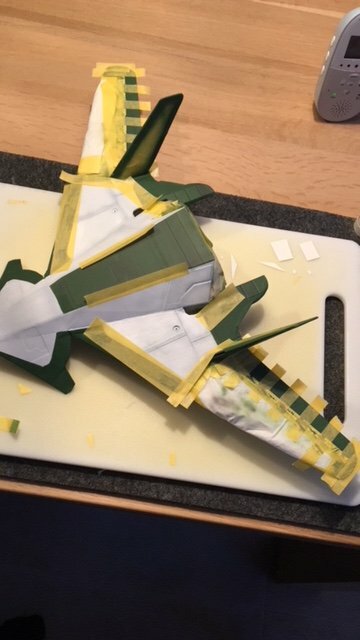 When on free-flight mode there will be at least one server used for this purpose. Now, for every new sector that we will introduce and if we have more than one servers in our disposal, we are going to use one for every sector depending on the number of the registered FlatPilots, their geolocation the server's capacity. 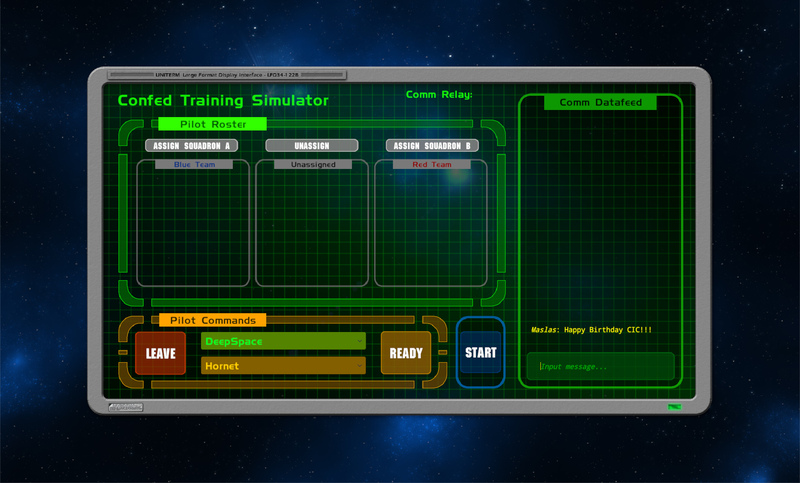 If the population will increase in a sector we will assign a server on one or more quadrants of the same sector. 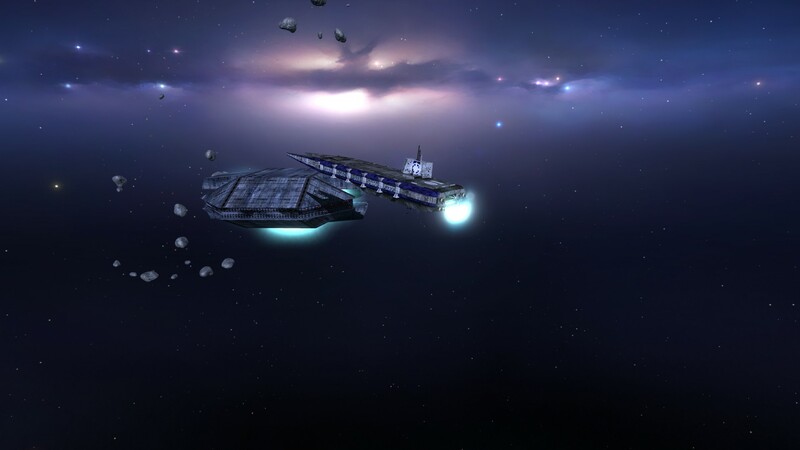 When the player will play a coop mission or a quick skirmish there will be given a list of available servers to choose from or to automatically get positioned depending again on the server's capacity and his geolocation. L.I.F. has some new teaser images for the next updates to the Homeworld Remastered Mod. 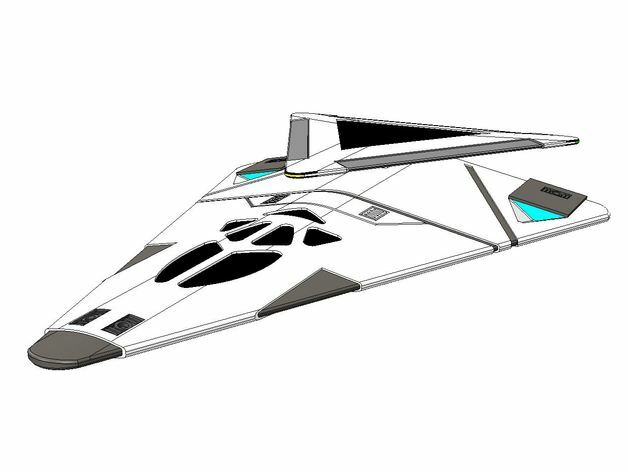 There are some impressive ships in the works, including an updated Vesuvius carrier and a new ultra sleek capship. The real star of the supercarrier shot is an electronic warfare jamming transport, and the nav map view highlights its 'dead zone' radius in action. All of the new additions coming to the game look like they'll be a lot of fun! 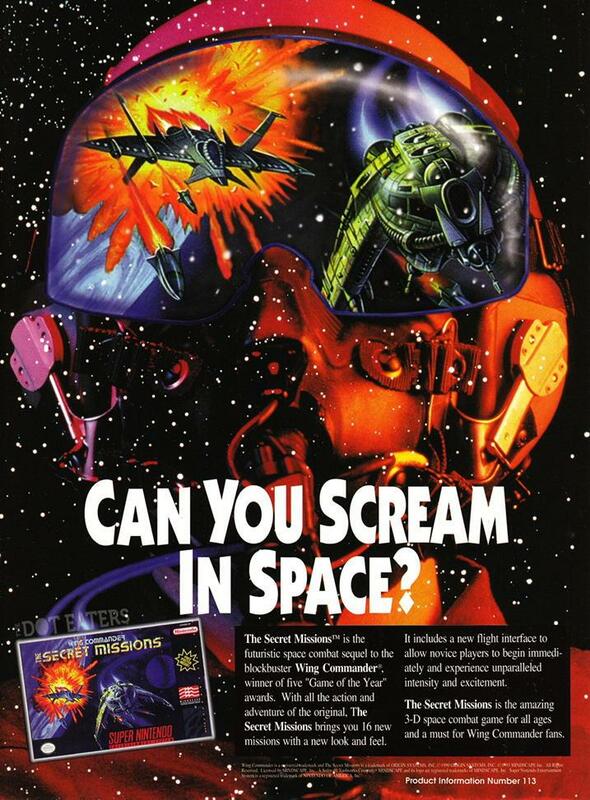 Speedruns are another element of modern video gaming that haven't yet taken hold in the world of Wing Commander. 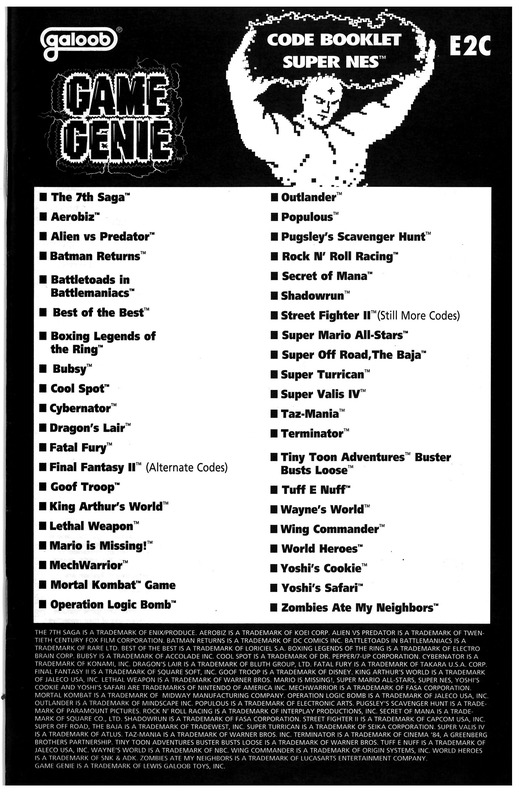 CirclMastr is working to change this with some quick runs of WC on the Super Nintendo. This is an extremely competitive area where challengers use precise measurement tools and work aggressively to shave off every fraction of a second they can get. Since the goal is ultimate speed regardless of method, anything goes as long as it's not cheating or external manipulation of the game. 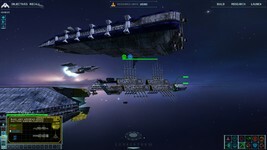 As such, in these playthroughs there is liberal use of the ejection system to maximize movement through the mission tree. In the losing run, it's simply a race to get through to the end of the Apocalypse System (the SNES version of Hell's Kitchen). The winning run requires strategic ejection to get to Hubble's Star, and then it takes key successes in that system, Rostov and Venice to get the Pewter Planet. He's already crunched his initial 46 minute run down to 41 minutes. It's a different way of playing through the series, and it'll be interesting to see how fast he can get in the future! World Record because I've found no evidence that anyone else runs this. The SNES version of Wing Commander differs from the PC version in a number of ways that contribute to make it a much slower run, even in the best circumstances. "Much slower" still means pretty quick, however. I intend to get this record under 45 minutes, and it could probably get under half an hour with a good run and good RNG. 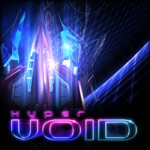 Here's a weird one: Hyper Void is a space-based 3D shooter game from InFramez Technology . It was originally released for the Playstation 3 in 2015 and is now available for the PS4, Xbox One and Windows PCs. 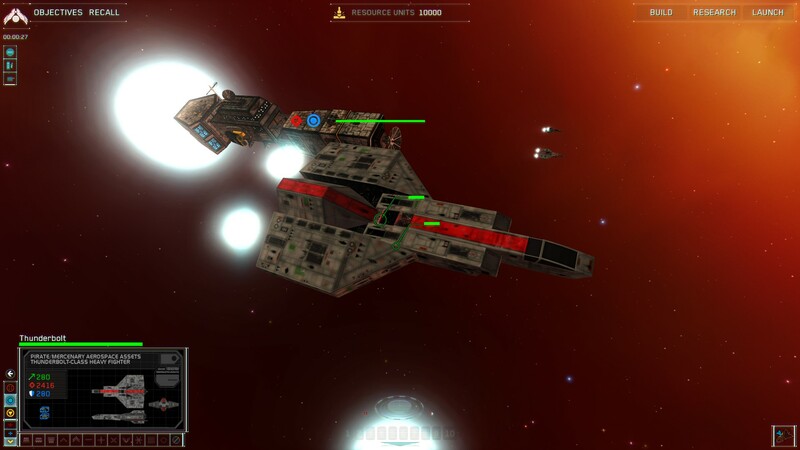 In an interview with Montreal game development magazine Le MooQC the game's creators Homam and Wessam Bahnassi talked about the game's unusual connection to the Wing Commander universe! 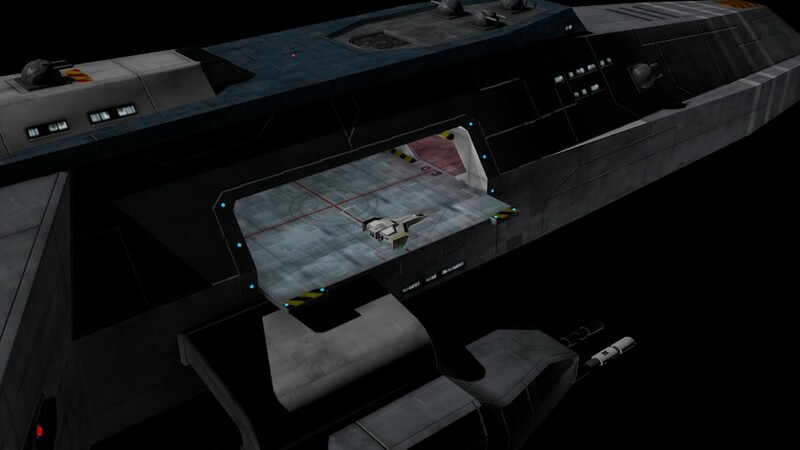 Asked if there are any Easter eggs, the developers note that "the shipwreck in level 09 belongs to the Lexington from Wing Commander 4. One of the quotes in the story mentions 'cats and insects.' 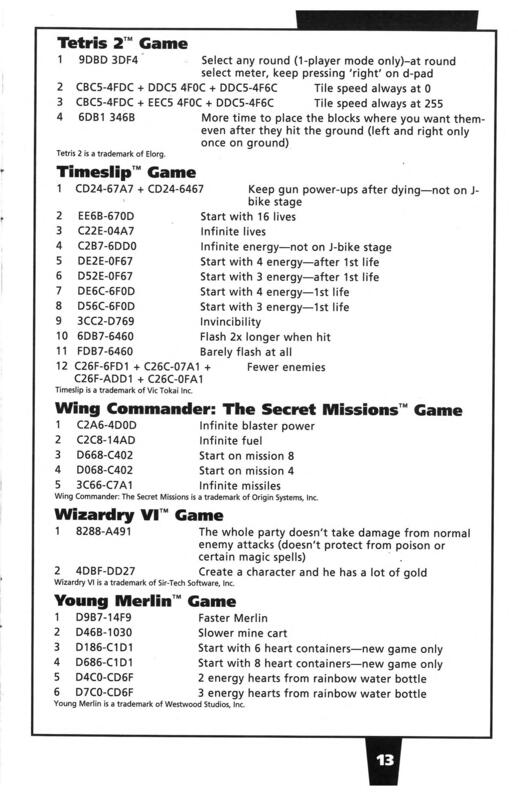 The guy is referring to the Kilrathi and Nephilim races (from Wing Commander.)" 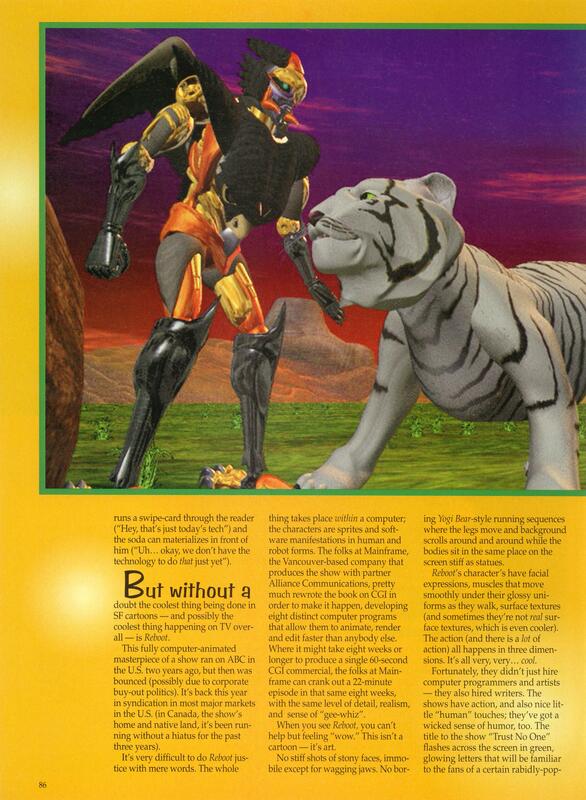 You can find the game's story text here, which includes the mention of cats and insects. The story itself is about a space virus which the player must fight in a variety of environments using his starfighter. The wreckage of the Lexington appears in Level 09 which can be seen in this YouTube playthrough. 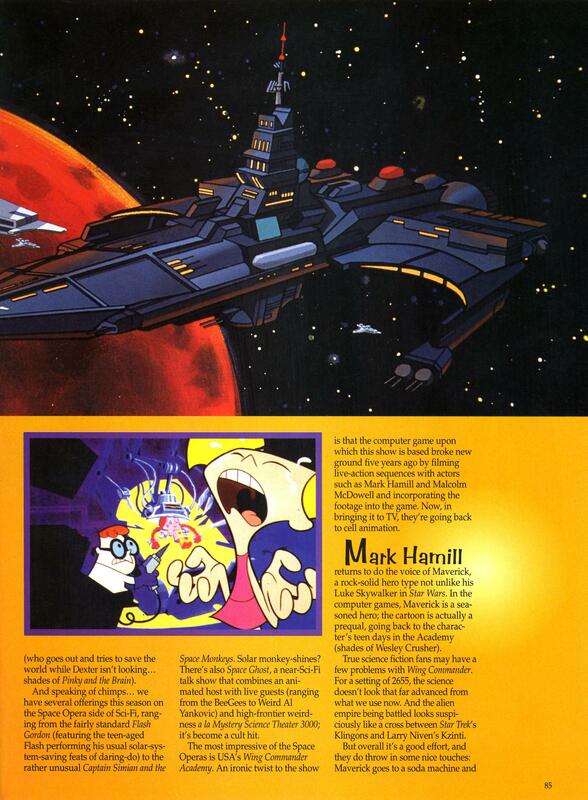 It's hard to tell exactly where it is; the original printed magazine included a low resolution image of the entire ship, but the version included at the Hyper Void website and in the game is much more broken apart. 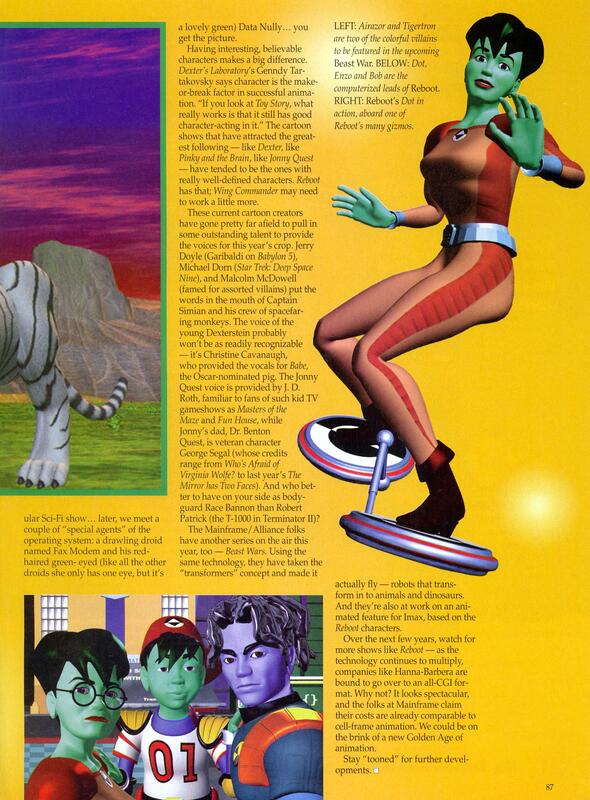 While Hyper Void is not an Electronic Arts game, it was the first project from a team that had formerly been EA Montreal... perhaps these assets were once intended for another purpose! 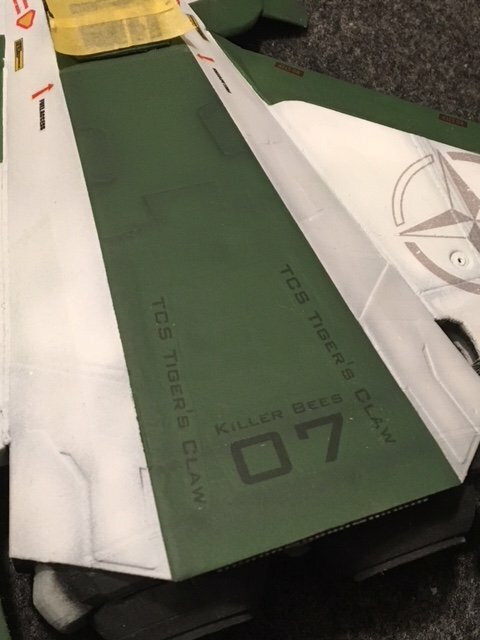 Want to hunt for the Lexington yourself? 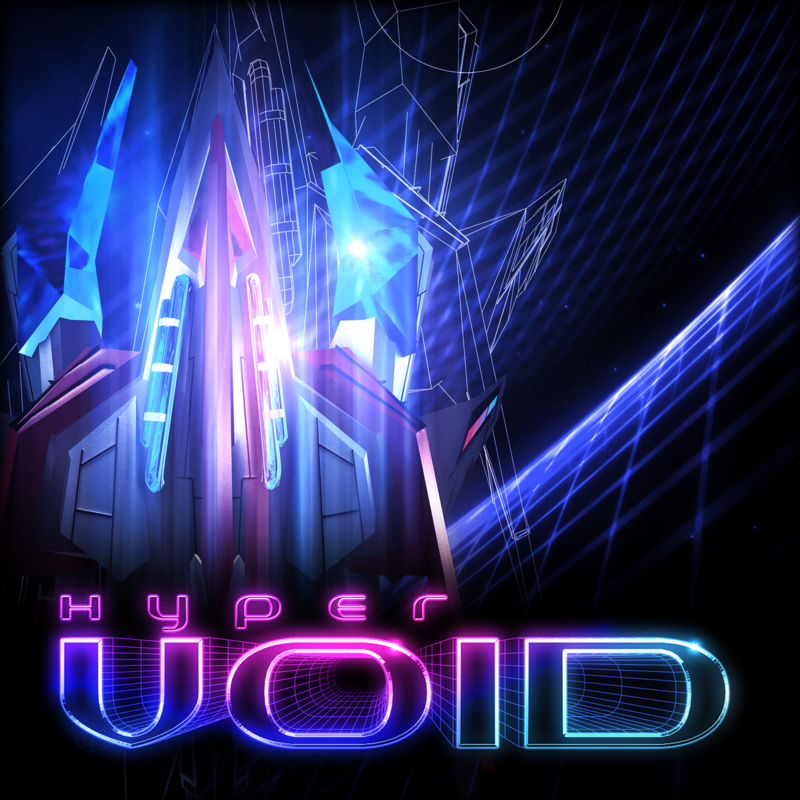 Hyper Void is a digital-only release, with links to each version below. There is an additional patch available for free which allows you to play the game with the Playstation VR headset. Hyper Void's Lexington model, a shot of the game's object editor, the Lexington as it appears in Wing Commander IV and the Lexington's wreckage from a Wing Commander IV magazine cover.. 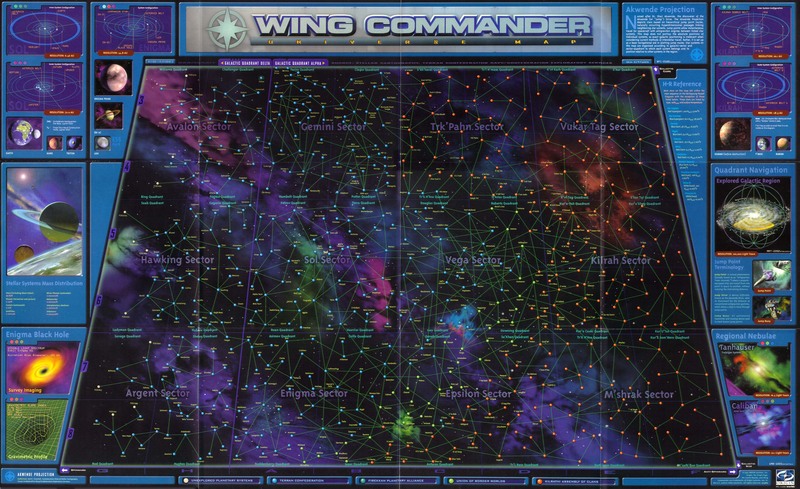 The Digital Antiquarian has posted a lengthy review/history of Wing Commander 2. The author has done quite a bit of research and shares a lot of important background information that sets the stage for how the game was made. There's lots to sink your teeth into here, although the middle portion discussing the game's narrative seems to be overthinking it a bit. 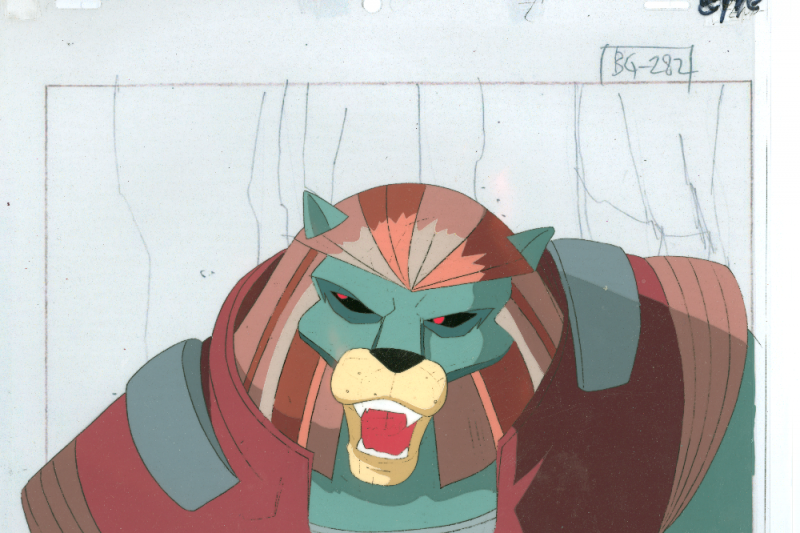 Vengeance of the Kilrathi's cinematic half may not be some sort of high art form, but it certainly was one of the most engaging storylines ever made at the time. Ultimately what it comes down to the constant drive to strike a good balance between gameplay and story while factoring in the constraints at the time. Check out the full article here. 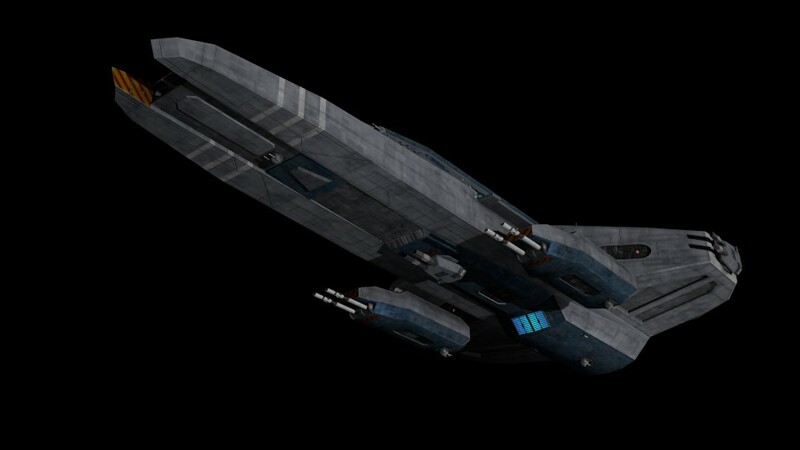 Most of all, though, Origin poured their energy into the story layer of the game — into all the stuff that happened when you weren’t actually sitting in the cockpit blowing up the evil Kilrathi. 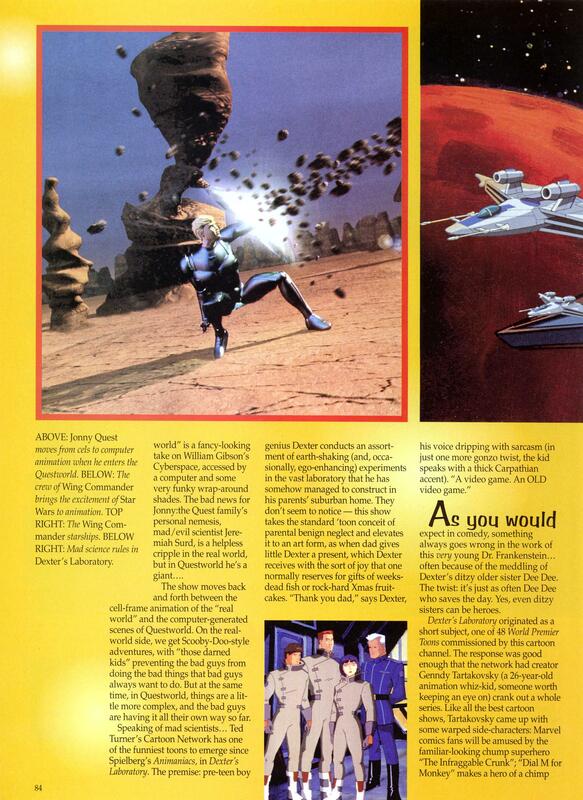 Wing Commander II: Vengeance of the Kilrathi took an approach to game design that could best be summed up as “give the people what they want.” With barely six months to bring the project to completion, Origin combed through all of the feedback they had received on the first game, looking to punch up the stuff that people had liked and to minimize or excise entirely the stuff they seemingly didn’t care so much about. One element we do have to call out is the suggestion that WC2's speech pack was some sort of "cash grab." At the time, the price of floppy disk production was overwhelming the company and was a contributor to the acquisition by EA. Every kilobyte mattered, and many things had to be cut to fit on an economical number of disks. It would have been impossible to include the speech pack as a freebie at first. On the flip side, most people actually did end up getting speech for free when WC2 Deluxe Edition was widely released on CD and made the speech files practical to bundle in. Defiance Industries has put together a pretty neat take on a popular fan creation to help complement the Black Lance designs he's creating for the Homeworld Remastered Mod. 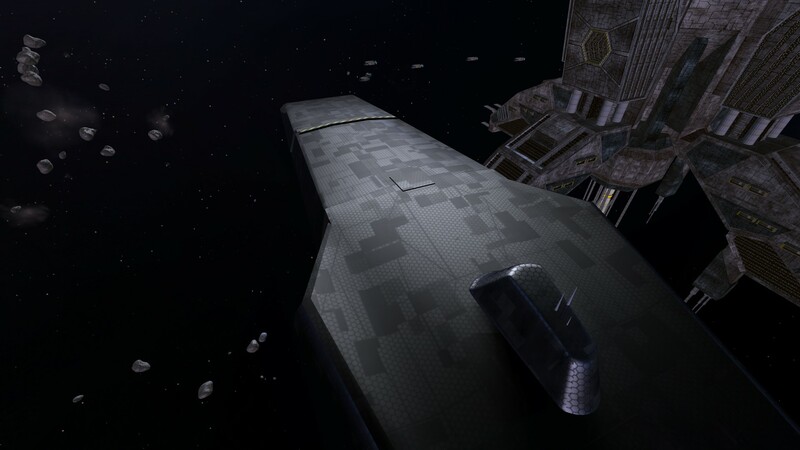 The design bears many structural similarities to the Bengal class strike carriers, including launch tubes/recovery bays and the heavily armed side pylons, but is scaled down into a more compact package. It looks like a nice addition to the lineup! Check out his backstory and epic render angles below. The next entry in the Black Lance faction is a WC4-ized re-do of NinjaLA 's TCS Falcon. L.I.F. 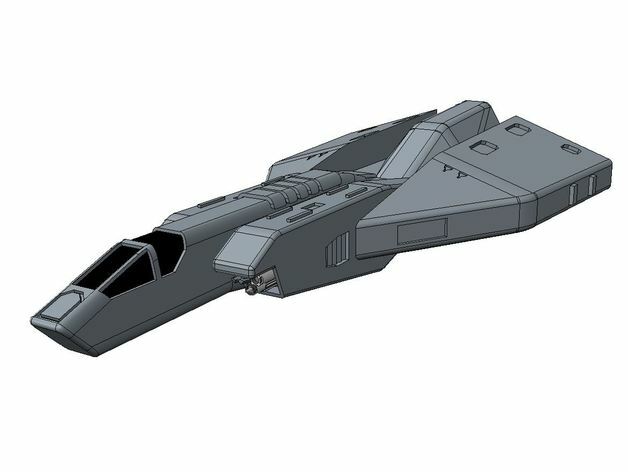 felt that the BL forces needed a light/fast cruiser and well, we all liked the design. 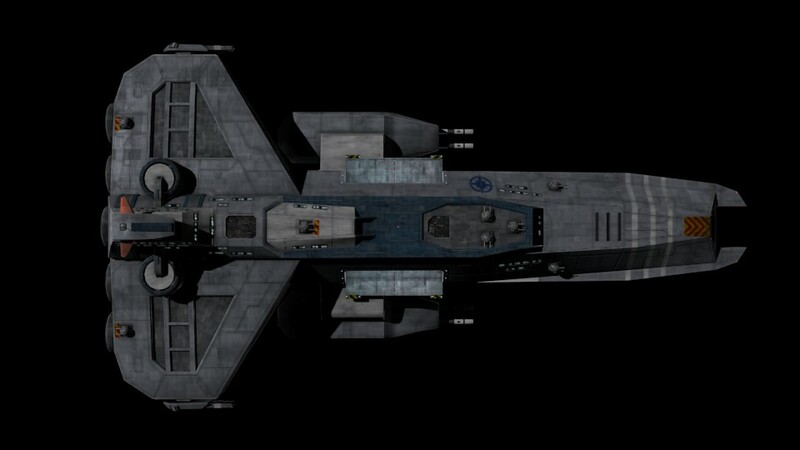 Howard Day did the original model version as far as I know, and Deathsnake made a version for Saga/Freespace all were things of beauty in their own right. So I decided to add my own take on it as a "late war" version incorporating more of a WC3/4 paint scheme while retaining some elements of the previous versions and sneaking in a few WC2 details for the fun of it. 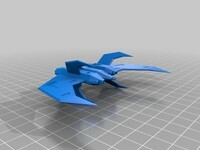 I believe I have identified an excellent candidate for the next phase of the GE project. You were looking for a number of older vessels, which would not attract too much attention, with a good fighter carrying capacity, and can be reclassified either as "training" ships or simply stricken from the naval register entirely. The Tolmacs-class fast cruiser will fit all those criteria nicely. Firstly, they are nearing the end of their refit schedule - so we should be able to appropriate them without drawing too much attention, especially if we convince the assembly that this is a cost-saving measure. Secondly, their fighter compliment is excellent for its size with ample bay storage and workspaces; I realize that late-war bombers such as the Longbow or Avenger won't be able to use the launch tube system due to their size, however Seether believes we could reasonably spot them for launch on the recovery deck should we need to do that. 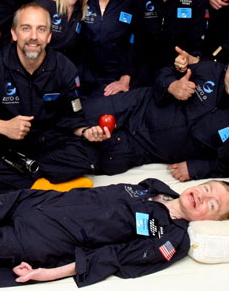 I mentioned that the recovery deck is not sealed and is exposed to vacuum, but Seether said the pilots are ok with a little space walk, his words sir, not mine. 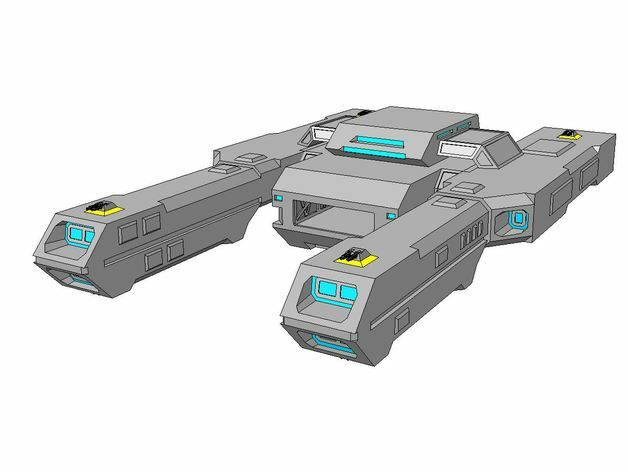 Third, they have exceptional firepower and speed allowing our captains to position the hired help where they are needed most. 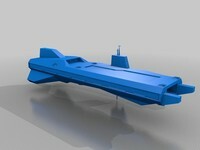 I realize many in the admiralty view the Tolmacs as something of a "glass cannon." 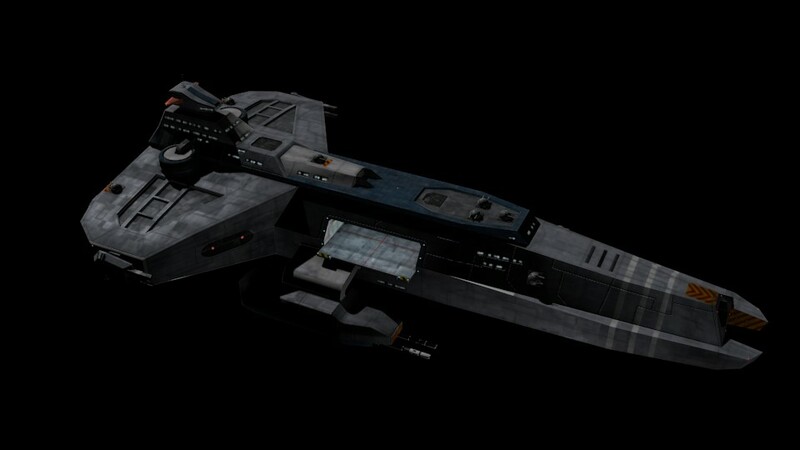 It's true that its shields and armor are not to the same standard as a Tallahassee, but it should be able to use its speed to outrun or outmaneuver anything it can't outgun. But overall I think this is a perfectly suitable platform to base a cruiser force around. At least until Project Guillotine is complete. George Oldziey has been a WC music making machine lately! His latest track riffs on a tune extracted from WC3 that isn't quite as famous as his first release. 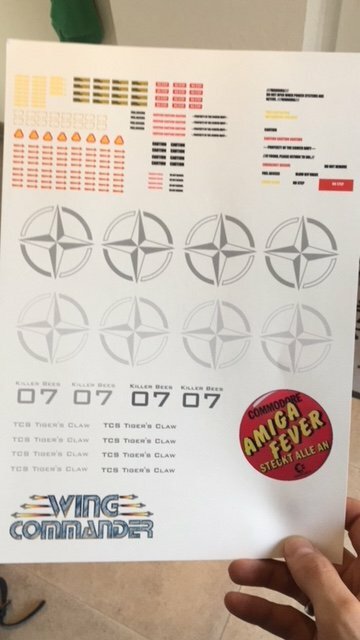 He's looking to crowd-source the source, and people that can spot if or where it appears in the game could win a free copy of his upcoming WC jazz CD! Give it a listen, and if it jogs your memory, help point out the scene! OK. 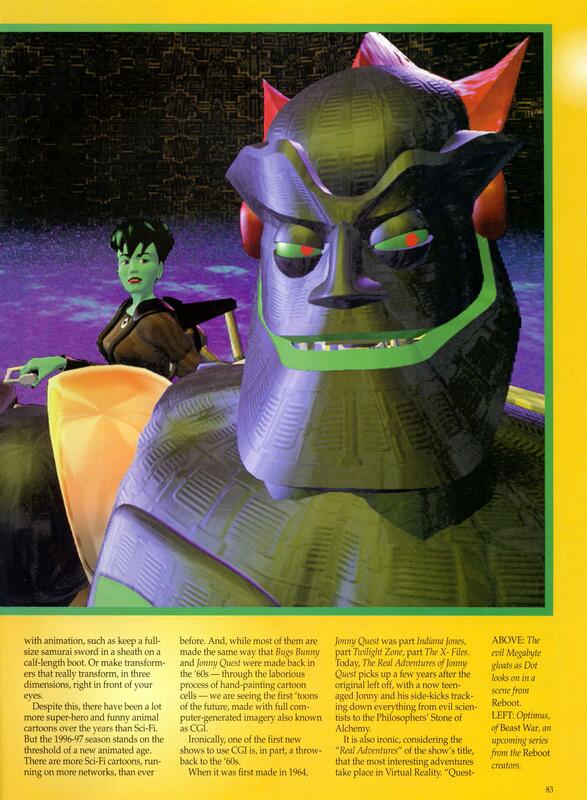 I have to confess, I have NO idea what part of which game this bar music piece was for. Does anyone know? First 5 to give me the correct answer (pending expert verification) will get a FREE CD of the bar music!